Also view our online eGuide with even more info on the workshops…including photos! Download a PDF grid of the workshop schedule. A PDF Viewer such as Adobe Acrobat Reader is required to view. to filter the list below, to quickly find a workshop..
Back by popular demand! Our #1 class with a sellout at each show. This is the only class on the market that you can complete 20 pages in only 60 minutes. 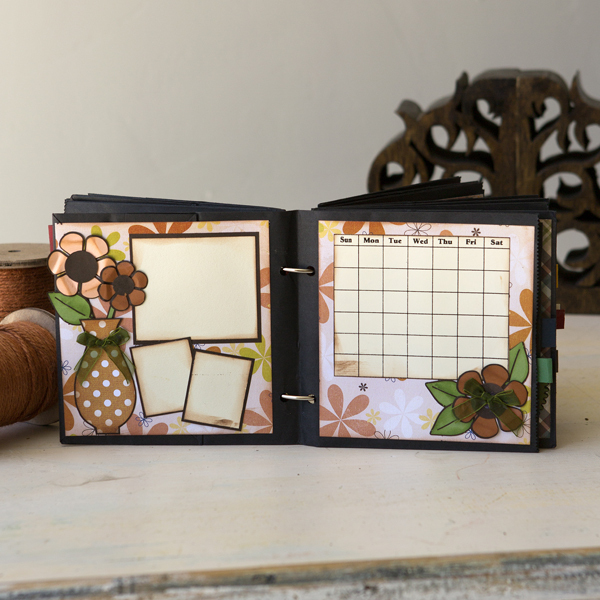 Do you not have time to scrapbook, but you love it so much you just need to make the time? Do you get overwhelmed with your stacks of pictures and you're just not sure where to start? 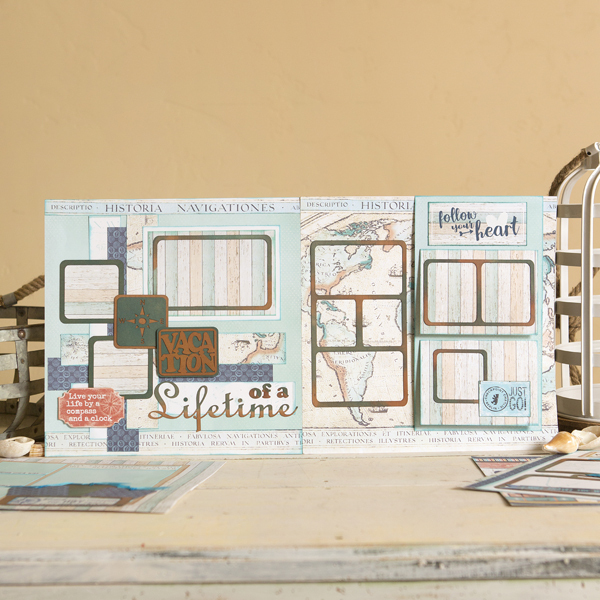 We will teach you how to create twenty 12 x 12" scrapbooking pages in one hour using Simple Stories Sn@p! Page Protectors and Simple Stories Elements. This is the ultimate class for learning how to use all your papers and every bit and piece you can find! What products will be highlighted: 12 x 12" Sn@p! pocket pages, Simple Stories papers and elements, creating 3D dimensional sticker icons, and flips. What do I need to bring to class: 12" paper trimmer, tape runner (Xtra Strong by PLUS is suggested), foam pop dots, scoring tool, baby powder, scissors, and Quick Quotes Lipstick or Navy inks. To purchase inks ahead of time, email your request to Steve at atozclassinks@gmail.com. What special supplies are needed to finish this project at home: Photos. What techniques will I learn or use: You will learn how to easily and quickly scrapbook using your creative juices and the supplies you already have. You will create 3D stickers, learn how to use flips, and make creative fold outs and pockets. Instructor: Jordan J., Kate S., or Bonnie K.
Learn to create beautiful watercolor paintings using rubber stamps, markers and a brush! For several years, Art Impressions has introduced stampers all over the world to their exclusive technique that creates beautiful watercolor scenes. They are easy to create and versatile for all users. Each person can make these beautiful scenes their own; no two designs are alike. In our watercolor class, you will create four card samples with our new Watercolor Mini Project Series. Our instructor will take you step-by-step through creating scenes and techniques with hands-on training. And, this class includes a free exclusive stamp set! What products will be highlighted: Art Impressions rubber stamps, watercolor markers, brushes, and watercolor paper. What do I need to bring to class: None. What special supplies are needed to finish this project at home: Scissors or paper trimmer, and adhesive. Optional: Corner rounder. What techniques will I learn or use: You will learn how to watercolor with stamps. 3, 4, 5... Make Your Projects Come Alive! What products will be highlighted: Technique Tuesday Animal House clear stamps and steel dies and Simple Stories Color Vibe patterned paper. What will I learn or complete: Four unique interactive cards. What do I need to bring to class: Scissors, paper piercer, 3D foam tape, double-sided tape, adhesive, and a pen or pencil. What special supplies are needed to finish this project at home: None. What techniques will I learn or use: You will learn techniques for making cards with sliders, pop ups, windows and more. Enjoy this vibrant coffee table book brought to you by A to Z Scrapbooking and Simple Stories. 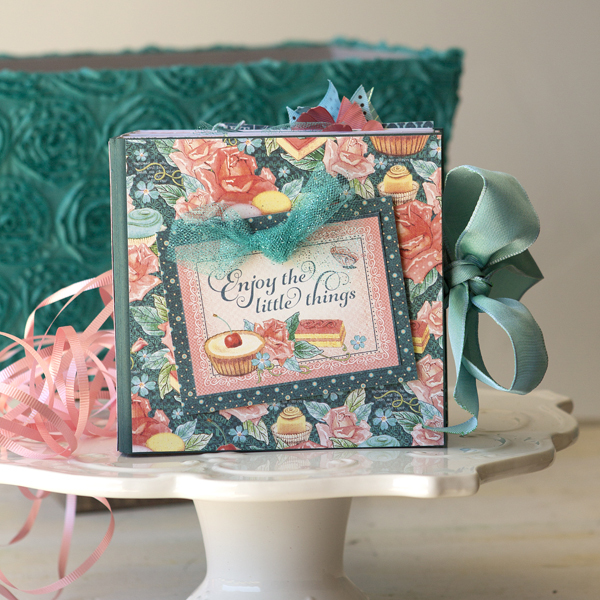 Using the Domestic Bliss line, you will create an entire 4 x 6" mini album filled with techniques including flips, folds, 3D bits and pieces, and even mixed media. Not only will you go home with a completed album, you will go home learning the newest mixed media techniques that are the biggest craze in the crafting world. What products will be highlighted: Mini albums, Simple Stories elements and paper packs, and chipboard stickers. 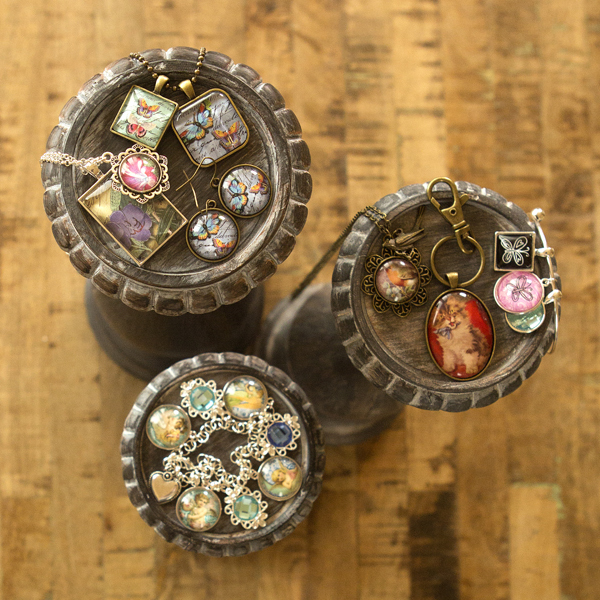 You will also work with mixed media products that are the newest craze in the crafting market. What will I learn or complete: You will leave with a completed 4 x 6" mini album. What do I need to bring to class: 12" paper trimmer, tape runner (Xtra Strong by PLUS is suggested), foam pop dots, hole punch, corner rounder, baby powder, scissors, and Quick Quotes ink in Aqua. Optional: Scoring tool. To purchase inks ahead of time, email your request to Steve at atozclassinks@gmail.com. What techniques will I learn or use: You will learn how to display your pictures in a creative way, how to make 3-D embellishments from stickers, and how to use Elements. You will be making your own creative pockets, fold outs and flips by using various materials and adding a variety of pictures on one page in creative ways. Do you enjoy camping, the great outdoors or nature? Do you take photos on your camping outings and want a nice mini album to capture your memories? We have just the thing for you! Complete a 6 x 8" Sn@p! album full of pockets, pull outs, and secret compartments as you learn unique ways to display your favorite camping pictures. This is a great class to learn how to use all the bits and pieces from products like these. 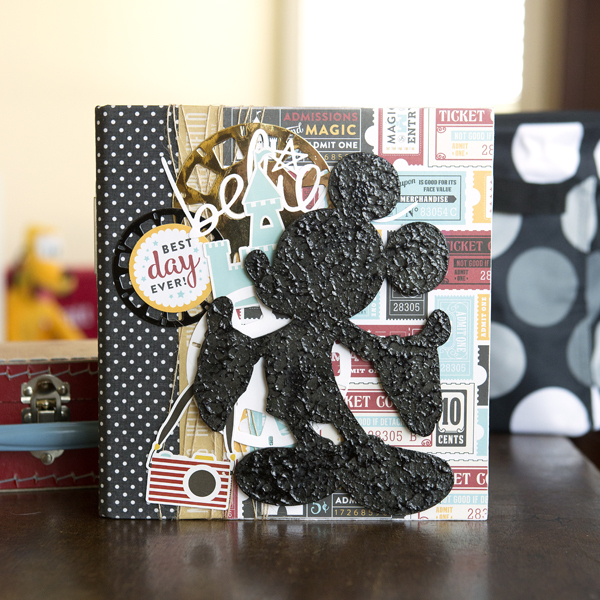 We will also be including an introductory mixed media component to give your project that extra shine of pizzazz! What products will be highlighted: Mini albums, mixed media paints and stencils, layering, and Simple Stories Elements and printed papers. What will I learn or complete: A 6 x 8" album full of colorful pages to showcase your special camping pictures. You will complete a whole book, all your need to add is your pictures. What do I need to bring to class: 12" paper trimmer, scissors, tape runner (Xtra Strong by PLUS is suggested), foam pop dots, hole punch, corner rounder, baby powder, and Quick Quotes Milk Chocolate ink. Optional: Scoring tool. To purchase inks ahead of time, email your request to Steve at atozclassinks@gmail.com. What special supplies are needed to finish this project at home: Your favorite camping or outdoor photos. What techniques will I learn or use: You will learn how to create unique pockets, fold outs, and flips from Simple Stories papers and elements, how to display your pictures in a creative way, and how to make embellishments from stickers, as well as about the latest mixed media craze. Come and join us for an hour of fun and learn how to cut apart patterned paper to create a layered effect on your layouts. 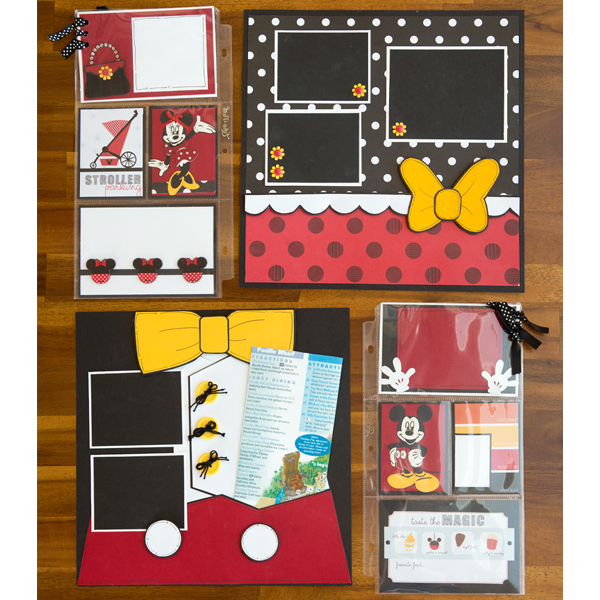 Your kit will include a 12 x 12" Queen & Co paper pad (a retail value of $14.95) that is perfectly paired with this double-page "Mickey and Minnie" spread. We will also show you tips and tricks for cutting apart a page protector to add more photos and memorabilia to your layouts. 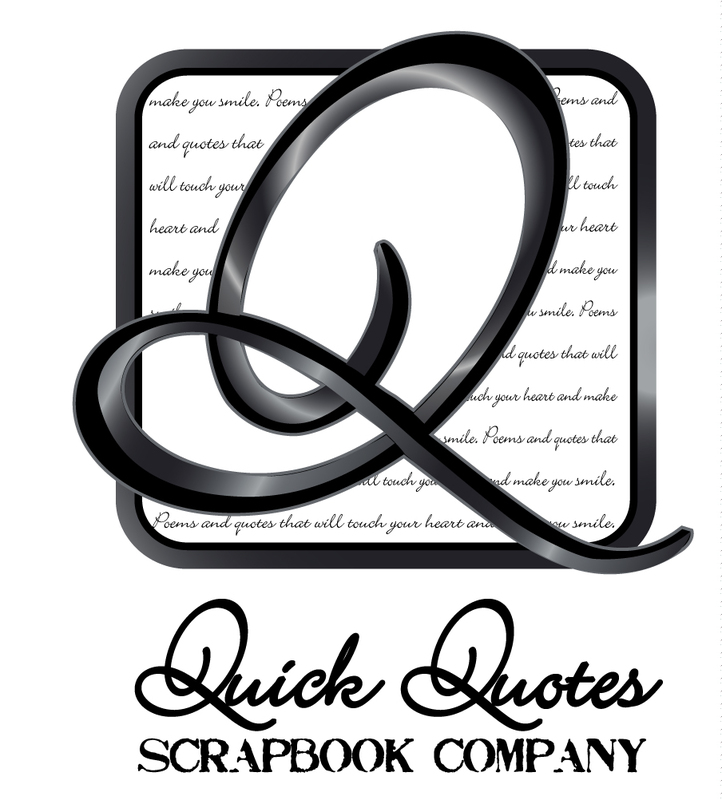 What products will be highlighted: 12 x 12" Queen & Co paper pad and page protectors. What will I learn or complete: A double-page "Mickey and Minnie" layout spread. What do I need to bring to class: 12" paper trimmer, black ink, and your adhesive of choice. What techniques will I learn or use: You will learn how to cut apart patterned paper to create a layered effect on your layouts. We will also show you tips and tricks for cutting apart a page protector to add more photos and memorabilia to your layouts. Want to add shine and a glamorous touch to your crafting projects? Come join Brian and learn how to use a Minc­™ heat laminator and common craft supplies to add a metallic finish to your cards and more! You will make three unique and beautiful cards using Gina K. Designs Foil-Mates and Fancy/Deco Foil­™ by Therm O Web. Along with foils, we will also be using new Gina K. Designs wafer-thin dies and color-coordinating cardstock and ribbons. We will show you advanced techniques for using Deco Foil Transfer Gel on stencils and using toner paper to foil. You will leave with three amazing cards and a $15 coupon to use in the Craft Fancy booth. Get ready for a creative foil card-making workshop, along with prize giveaways and a 10% off discount to use at the Craft Fancy booth during the entire show weekend. What products will be highlighted: Gina K. Designs Foil-Mates, wafer-thin dies and color-coordinating cardstock, Deco Foil™ from Therm O Web, Deco Foil Transfer Gel, Toner Paper and the Minc­™ heat laminator. What will I learn or complete: You will leave the class with three completed cards and a $15 coupon to use in the Craft Fancy booth. What do I need to bring to class: Paper trimmer, detail scissors, double-sided adhesive, foam tape, glue dots, and a bone folder. What special supplies are needed to finish this project at home: Minc™ heat laminator. What techniques will I learn or use: You will learn how to use heat-activated foils and other foiling techniques. This beautiful 8 x 9" album is loaded with pockets, envelopes, journaling pages, page protectors, and embellishments and holds over 60 vacation photos! And not only will you create an amazing album, you will also have the chance to win a brand new Canon printer in class! 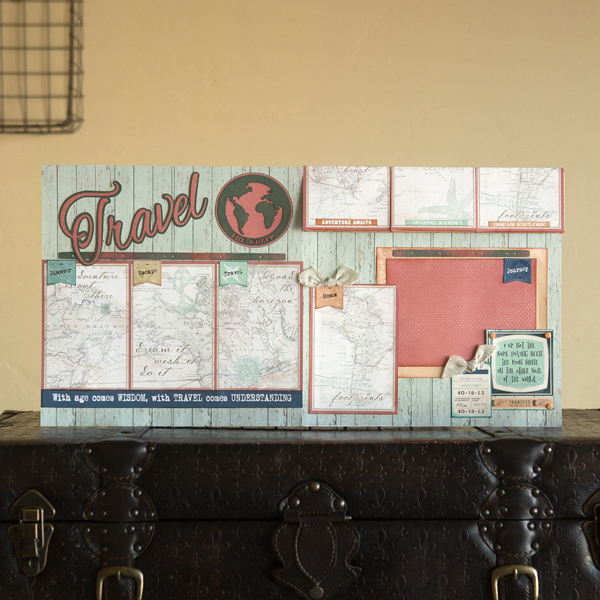 This large sturdy album is a unique way to store keepsakes such as airplane tickets, hotel keys, itineraries, and more, and lined journaling pages are included to write your favorite vacation memories. You will learn to make a waterfall mini book to attach inside the album for even more photos. This album is perfect for any vacation whether it's a once in a lifetime trip around the world or a simple staycation close to home. 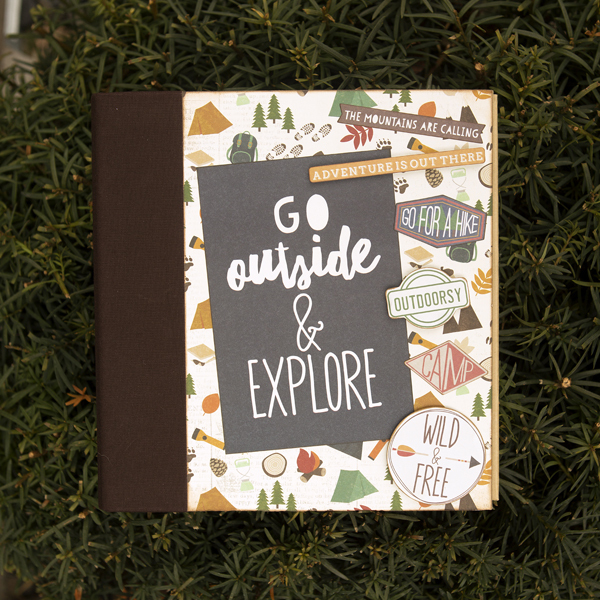 The all-new "Adventure Awaits" paper line is elegant and versatile. Join us for a fun-filled produ-packed class! Receive a coupon for booth specials in class. 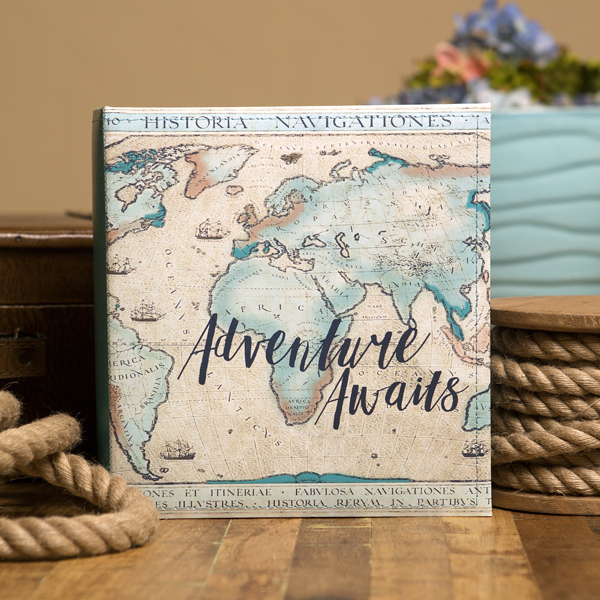 What products will be highlighted: Quick Quotes "Adventure Awaits" paper line and chalk inks. What will I learn or complete: A travel album ready to add 60+ photos, memorabilia, and journaling. What do I need to bring to class: 12" paper trimmer, scissors, and adhesive. Powder Puff Chalking Ink suggestions: Capri Blue, Amaretto, Bermuda, and Terra Cotta. To purchase inks ahead of time, email your request to Steve at atozclassinks@gmail.com. What special supplies are needed to finish this project at home: 12" paper trimmer, scissors, and adhesive. Powder Puff Chalking Ink suggestions: Capri Blue, Amaretto, Bermuda, and Terra Cotta. What techniques will I learn or use: You will learn chalking techniques with multiple colors of chalking ink, how to create a waterfall book and unique pockets, and how to make an adorable album that will hold many travel photos in just an hour! "What adhesive should I use?" We will answer that common question in this informative lecture-style class. You'll receive a huge adhesive bundle with top-quality brands including Tombow and Scrapbook Adhesives by 3L, as well as an information sheet highlighting all of the products presented in class. We will talk about tape runners, liquids, and other adhesive options, plus how to remove or "suspend" adhesive if you need to redo your project. 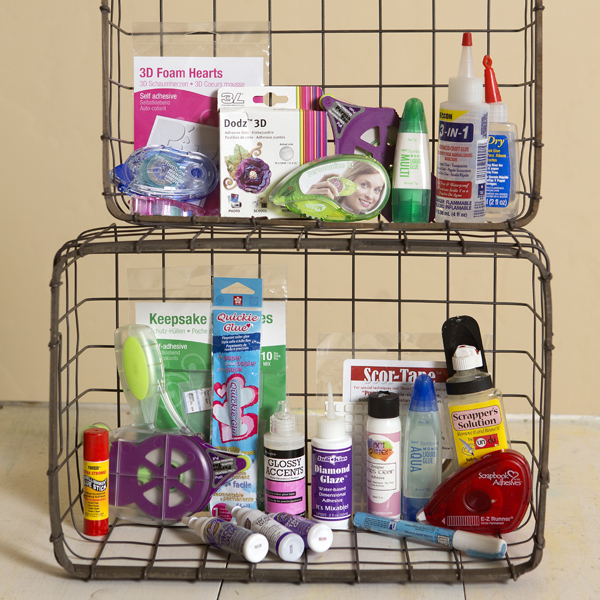 In addition to your take-home products, lots of additional adhesive goodies will be given out as prizes at the end of class along with a two-offer coupon to be used in the BEE Creative booth! What products will be highlighted: Wet, dry, and other adhesive options from top-quality name brands including Tombow, Scrapbook Adhesives by 3L, and more. What will I learn or complete: This is a lecture-style class. No projects will be made in class, but you will take home a class product pack and receive a two-offer coupon to be used in the BEE Creative booth. What techniques will I learn or use: You will see demos and learn tips and tricks for making ribbon roses, removing adhesive from a layout, foiling with Scor-Tape, and more. Come join us on an art journal journey! In this fun and hands-on technique class, we will explore the mixed media products from Art Anthology and create an amazing journal cover. You can use this cover for your journal, art book, scrapbook or anything you choose! We recommend that you take our companion class, Art Journaling – Mixed Media Journal Pages, to create inner pages for your art journal cover. What products will be highlighted: Art Anthology mixed media products. What will I learn or complete: A mixed media artboard that can be used as a cover for your art journal, art book, scrapbook or anything you choose! We recommend that you take our companion class, Art Journaling – Mixed Media Journal Pages, to create inner pages for your art journal cover. What do I need to bring to class: Liquid adhesive such as 3-in-1 or FabriTac by Beacon and a heat tool. Optional: Gloves and an apron. What techniques will I learn or use: You will learn how to use Art Anthology mixed media products. Come join us on an art journaling adventure! In this three-hour mixed media workshop, you will work with Art Anthology mixed media products to create art journaling pages that express your creativity and inspire your inner artist. Learn how to turn your blank pages into beautifully-executed designs. 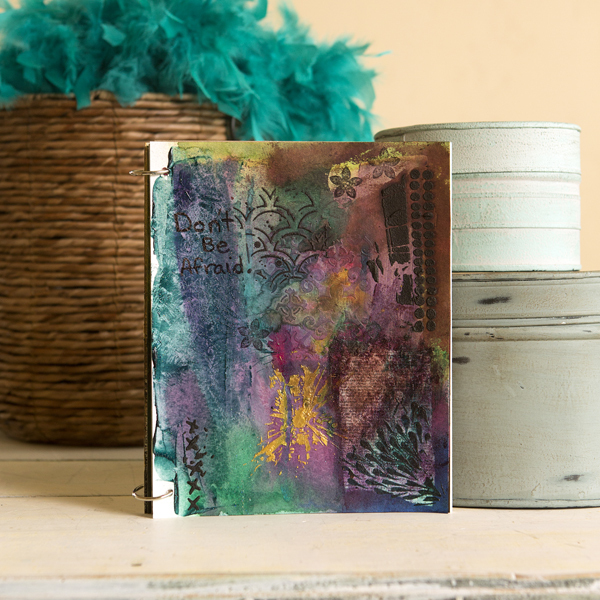 We will provide the inner pages of the journal and a variety of mixed media products, and you will decorate them using your favorite color palettes while learning amazing mixed media techniques. We recommend our companion workshop, Art Journaling – Mixed Media Journal Cover, to create a cover for your art journaling pages. What will I learn or complete: Art journaling pages. We recommend our companion workshop, Art Journaling – Mixed Media Journal Cover, to create a cover for your art journaling pages. What do I need to bring to class: 3-in-1 or FabriTac Adhesive by Beacon and a heat tool (recommended). Optional: Gloves and an apron. What techniques will I learn or use: You will learn art journaling techniques using Art Anthology mixed media products. 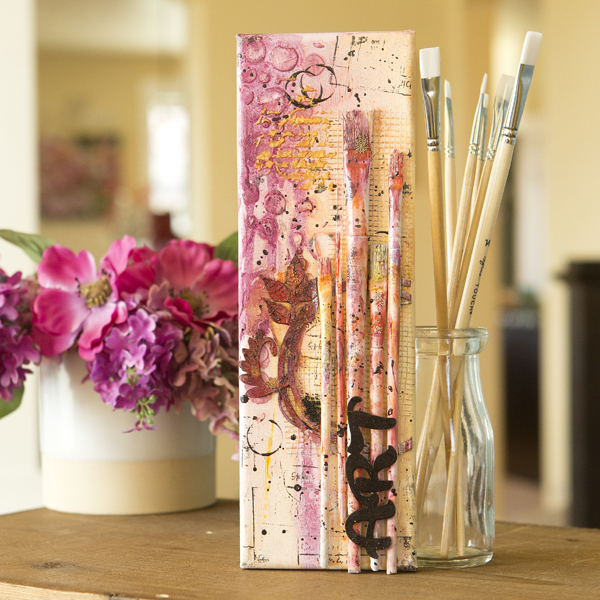 Come join Art Anthology to create this fun mixed media canvas. Play with several of Art Anthology's mixed media products and learn some new techniques! You will walk away with an amazing home décor canvas in the colors of your choosing. What will I learn or complete: A 4 x 12" canvas. What do I need to bring to class: Liquid Adhesive such at 3-in-1 or FabriTac by Beacon and a heat tool (preferred). Optional: Gloves and an apron. What techniques will I learn or use: You will learn how to work with Art Anthology mixed media products. 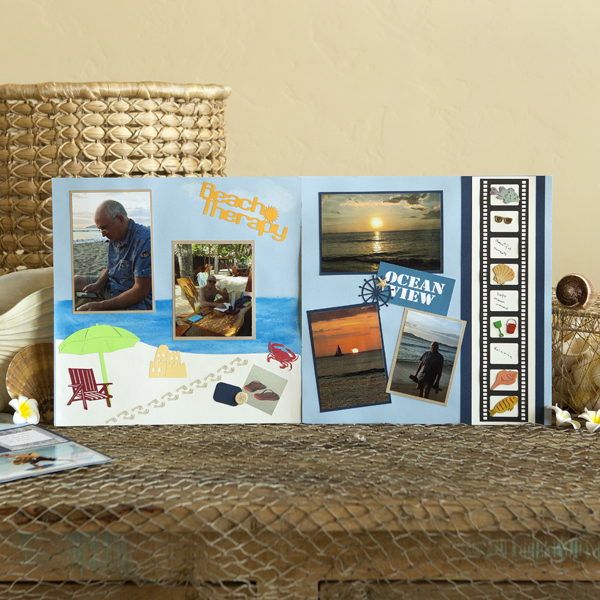 Join us for a fun class creating a four-page layout to record your beach vacation memories using our great laser cuts! We will show you how to create a background, add detail, and color our wood miniatures using Gelatos. You will also learn different ways to create titles/tags to add pizzazz to your pages. Your kit will include exclusive laser cuts, a sheet of our new travel cardstock, and two Gelatos for you to use and keep. Other Gelatos colors and glue will be provided for you to use in class – just bring your favorite paper trimmer. And as a bonus, you can bring your class ticket to our booth after class to receive a special gift. What products will be highlighted: Gelatos and Petticoat Parlor wood miniatures and new travel cardstock. What will I learn or complete: Four 12 x 12" layouts. What do I need to bring to class: 12" paper trimmer. What techniques will I learn or use: You will learn how to use Gelatos to create a background, to add detail to plain cardstock and to color our wood miniatures. as well as how to create titles/tags to add interest to your layouts. A lovely hand-addressed card or envelope is a lost art! Add a personal touch to holiday cards, wedding invitations, or any correspondence with traditional calligraphy. This technique-based class will introduce you to Old English-style calligraphy. This is not italic, but rather the more traditional style (think newspaper mastheads). The lowercase alphabet will be practiced, with like letters shown together so you can begin to master the basic skills needed to form letters. You will receive a double-ended, felt-tipped calligraphy pen to keep (great for left- or right-handers), practice papers with guides, and a bonus sheet of the uppercase letters to try at home. This class is fast-paced but fun, with prizes given at the end of class. What products will be highlighted: Calligraphy pens and supplies. What will I learn or complete: You will leave with an instructional packet, a calligraphy pen, and the basic knowledge of how to write the lowercase alphabet in Old English-style calligraphy. What techniques will I learn or use: You will learn how to write the lowercase alphabet in calligraphy. Creativity and studying scripture go hand-in-hand in this beginning-level Bible journaling class taught by Nicole Petersen. By creating meaningful art while learning the Word of God, this class will help provide you with a fresh approach to Bible reading. However, you do not need to possess drawing skills to attend. By learning to use products like Ranger Distress Inks, Altenew Stamps, and Ranger Clear Gesso, you will be able to take the process of studying bible verse into your creative mind. Note: This project can be added to your current bible or journal later–no Bible or journal is needed for class participation. Your take-home kit will include Ranger Gesso and three Mini-Distress Ink Pads. What products will be highlighted: A specialty-designed Bible journaling page, Ranger Gesso, Ranger Distress Ink, and Altenew Stamps. What will I learn or complete: A Bible journaling page created with mixed media products. What do I need to bring to class: Medium acrylic block, regular medium-sized paint brush, blue painter's tape, reusable craft sheet, fine-tip waterbrush containing water or fine-tip paint brush and water, and baby wipes. What techniques will I learn or use: You will learn how to prep a surface for mixed media Bible journaling, apply Gesso, mask off stamped images, stamp with hybrid ink, off-set stamping, ink kissing, and loose watercoloring. Bon Appétit! Are your family recipes scattered all over? Come and create a wonderful recipe album where you can keep all of your family favorites in one place. It's a great album to keep for yourself or give as a gift. Each page has a glassine pocket for the recipe card and plenty of space for pictures of that favorite dish or family members prepping that dish. The album is created with one of Pinecones's beautiful 6x8 Curved-Back Albums and papers from Photo Play. Extra pages can be added to the album. 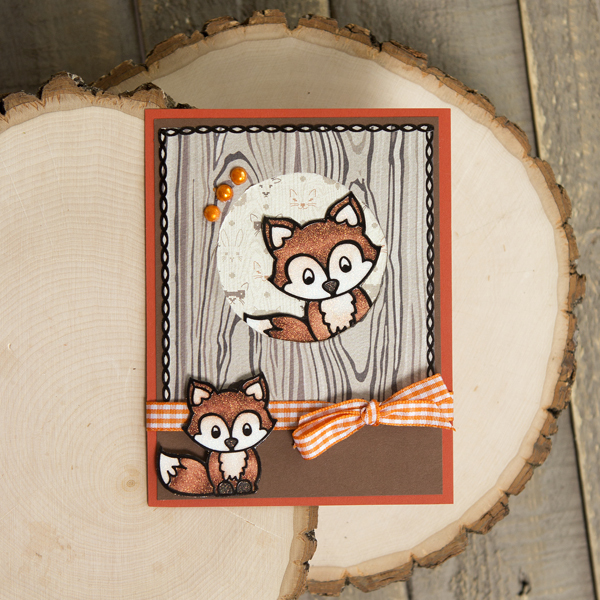 As with all of Pinecone's kits, you will start this project in class covering and creating the more technical items. You will then finish the album at the crop or at home after you have added your photos – giving you hours of enjoyment! What products will be highlighted: Pinecone's Curved-Back Albums and Photo Play papers. What will I learn or complete: You will start your Bon Appétit Recipe album. What do I need to bring to class: 12" paper trimmer, scissors, and adhesives (liquid and tape runner or glue stick). Optional: Warm brown ink like Vintage Photo by Tim Holtz. What special supplies are needed to finish this project at home: 12" paper trimmer, scissors, and adhesives (liquid and tape runner or glue stick). Optional: Warm brown ink like Vintage Photo by Tim Holtz. What techniques will I learn or use: You will learn how to create mini album pages with a fold-out glassine pockets. There's always an assignment to design your favorite bookworm's school days album layout! Don't be late for class as we complete a two-page layout dedicated to your favorite student. You will use Creative Memories' latest designed papers and embellishments with our border maker system to create a project that will be sure to earn an "A+." Class space is limited, so be sure to reserve your seat today! What products will be highlighted: You will work with Creative Memories products and learn about Creative Memories tools: border maker system, custom cutting system, punches, corner rounder, and more. What will I learn or complete: Two 12 x 12" layouts. What do I need to bring to class: 12" paper trimmer, adhesive, and scissors. What techniques will I learn or use: You will learn how to measure and properly trim paper for layouts, how to use our border maker system, how to use our custom cutting system, how to use punches, and what adhesives to use for different paper shapes. Learn new techniques and use Kiwi Lane templates to create beautiful art to decorate the walls of your home. 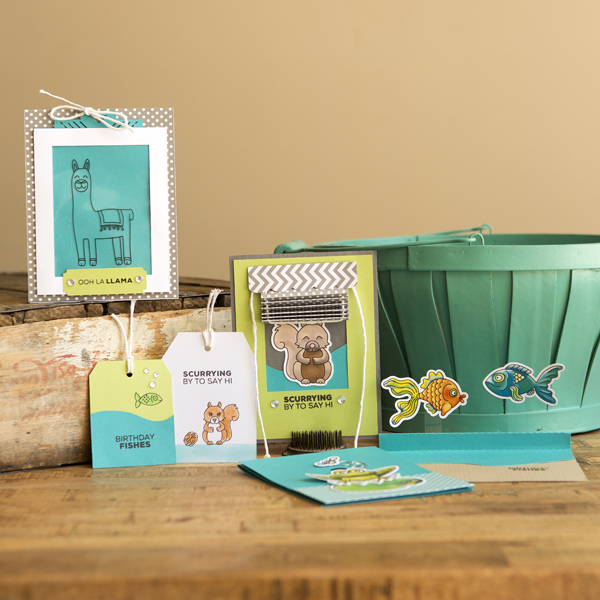 The Kiwi Lane Play-to-Create system is a back-to-basics, hands-on approach to scrapbooking and card making – Design, Trace & Replace! And while these templates are perfect for card making and scrapbooking, in our class you will take the templates off the page to enhance your home décor. Class space is limited, so reserve your seat today! 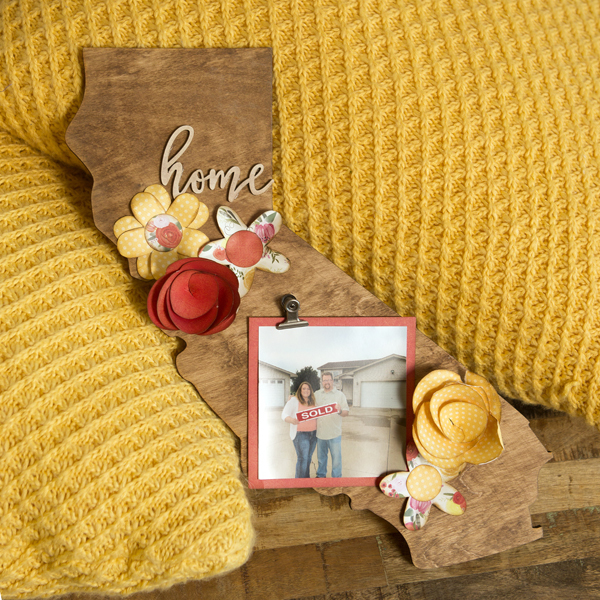 What will I learn or complete: A California-themed home décor project. What do I need to bring to class: Scissors, adhesive, and disposable gloves. What special supplies are needed to finish this project at home: Picture hanging hardware. What techniques will I learn or use: You will learn how to use Kiwi Lane designer templates and paper-folding techniques. Do you love fun, vibrant-colored interactive cards with dimension? 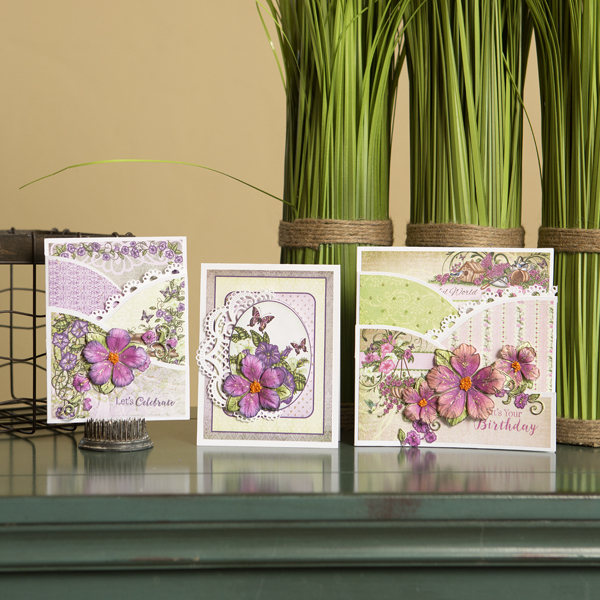 Come create foldout cards with classic pinks, deep purples, and leafy greens, all while learning to create dimensional, sparkling petunia florals. You will be using our new flower-shaping molds and pairing this technique with decorative dies, prills and sparkling glitters. 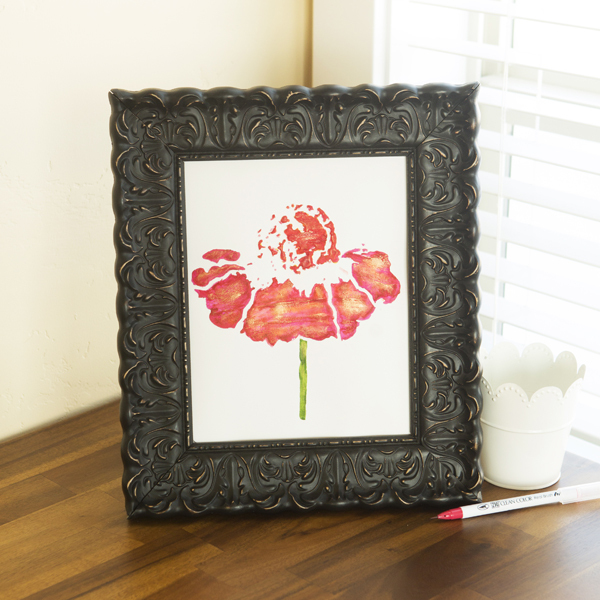 You will also learn how to blend two tones of inks together to create the perfect color combo for these flowers. We will provide step-by-step instruction and for simply taking the class, you will receive a coupon for a free $19.99 Cling Stamp Set of your choice to be redeemed in our booth. Heartfelt Creations classes are always loaded with creative techniques and you will leave with fresh inspiration. 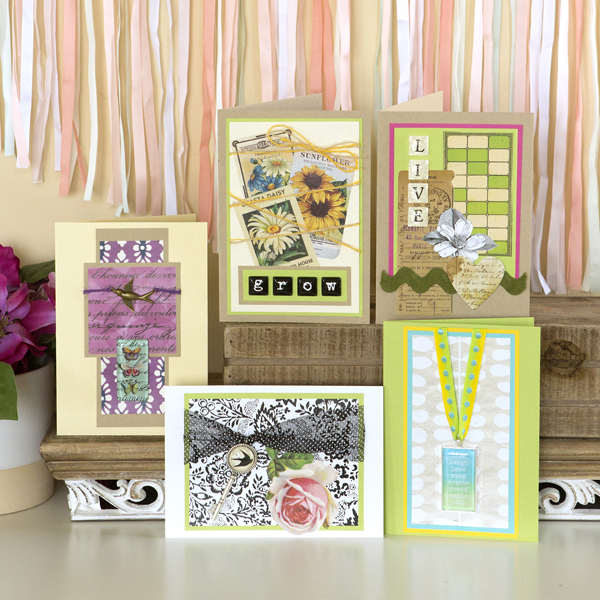 What products will be highlighted: Heartfelt Creations Stamps, dies, papers, and flower-shaping tools. What will I learn or complete: Three dimensional cards. What do I need to bring to class: Favorite adhesive, scissors, and foam dots. We recommend bringing a 12 x 12" case to carry your 3D cards after class. What techniques will I learn or use: You will learn how to create foldout cards with flower-shaping, glittering, and coloring techniques. 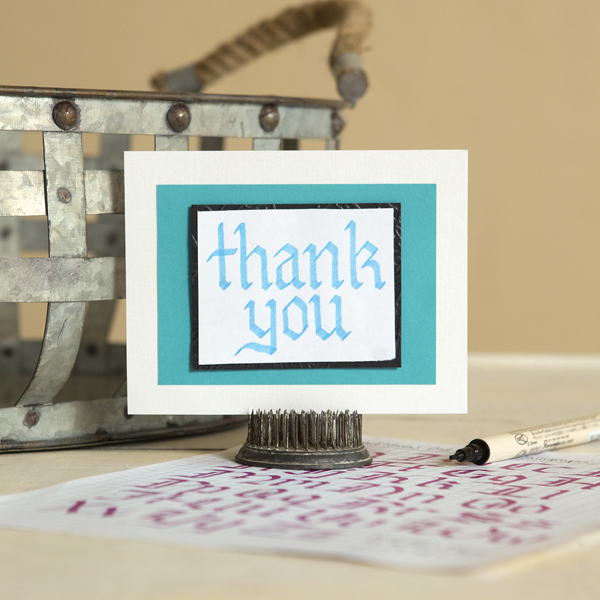 Create a fun card as you learn some great tips and tricks for stamping and inking. Karen always offers great information and techniques with the latest tools and products, plus prize giveaways and a coupon with two offers to use in the BEE Creative booth. You'll also receive goodies in your class kit to keep including this Hero Arts multi-layer butterfly stamp set and a coordinating five-ink pad set – together a $27 value! What products will be highlighted: Layered stamps, inks, stamp presses, and other stamp-enhancing products. 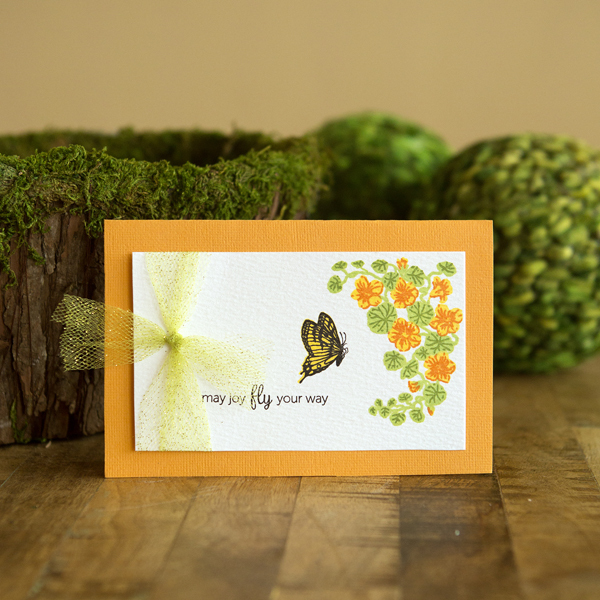 What will I learn or complete: A floral butterfly-stamped card. What do I need to bring to class: Scissors, adhesive, and a stamp positioner (such as the Tim Holtz Stamp Platform or MISTI) if you have one. If not, a small press will be provided for class use. What techniques will I learn or use: You will learn how to layer ink colors with a multi-layer stamp set, how to position and press, create fun backgrounds, and embellish stamped images. Whether you've colored before or are curious about getting started, this class will introduce you to both alcohol markers and colored pencils. Karen will talk about the Spectrum Noir marker system, how it compares to other brands like Copics, other supplies that will lead to successful coloring, and then take you and the brand-new pens you receive in class through a "how-to" to color a lovely floral image. Great tips will also be shared. You'll also learn the four ways you can use colored pencils, with markers or without, and try a great watercolor technique – without water! In addition to product information, you'll take with you five Spectrum Noir markers (a $10 value). You'll also receive a special coupon with two discount offers to use in the BEE Creative booth. No supplies needed – all levels welcomed! Come join us for education, hands-on techniques, and great giveaways! What products will be highlighted: Spectrum Noir marker system and colored pencils. What will I learn or complete: You will color a floral image with the five Spectrum Noir markers you receive in class. What special supplies are needed to finish this project at home: Adhesive and a card base should you choose to mount your image to make a card. What techniques will I learn or use: You will learn tips an tricks for blending, shading, and highlighting with alcohol makers and accenting with colored pencils. Coloring those cute little furry creatures are so fun and easy! Come join our Copic coloring class as we walk through the basics of coloring with alcohol ink markers on both cardstock and Krazy Kreations handmade glitter paper. We will use Krazy Kreations fox outline stickers to illustrate shading and blending with your Copic markers as well as adding texture to the fur on those adorable fox images. You will receive materials to color in class, a card kit to make a finished project after class, along with a swag bag of goodies including a gift certificate to the Krazy Kreations booth! You are encouraged to bring Copic markers (E17, E18, E19, YR04, W0, W3, 110) as there will be a limited number of markers to use in class. What products will be highlighted: Krazy Kreations outline stickers, glitter paper, and Copic alcohol ink markers. What will I learn or complete: You will color fox images in class. What do I need to bring to class: Copic markers: E17, E18, E19, YR04, W0, W3, 110 (if you have them) and a basic tool kit such as scissors and adhesive if you want to work on your card kit in class. What techniques will I learn or use: You will learn how to blend and shade with alcohol ink markers on different types of mediums to achieve a fur finish for animal images. Have you struggled with creating beautiful bouquets or have no idea how to get started? Together we will learn how to create a dimensional bouquet with carnations of different sizes. These step-by-step shaping techniques will start getting you comfortable with shaping handmade paper florals and then you will learn to arrange them in a bouquet with wire stamens! We will provide step-by-step instruction and for simply taking the class, you will receive a coupon for a free $19.99 Cling Stamp Set of your choice to be redeemed in our booth. Heartfelt Creations classes are always loaded with creative techniques and you will leave with fresh inspiration. What products will be highlighted: Heartfelt Creations stamps and dies. What will I learn or complete: A dimensional floral bouquet. What do I need to bring to class: Favorite adhesive, scissors, and paper piercer. We recommend bringing a 12 x 12" case to carry your 3D floral bouquet after class. What techniques will I learn or use: You will learn how to create a beautiful floral bouquet using flower shaping, glittering, and coloring techniques. Krazy Kreations and Scrap That! are ready to WOW you with lots of new and exciting product. Come join our class as we give you a LARGE goody bag filled with the best of the best items in our booths! We will go over each product to illustrate and discuss this fabulous bag of stuff! 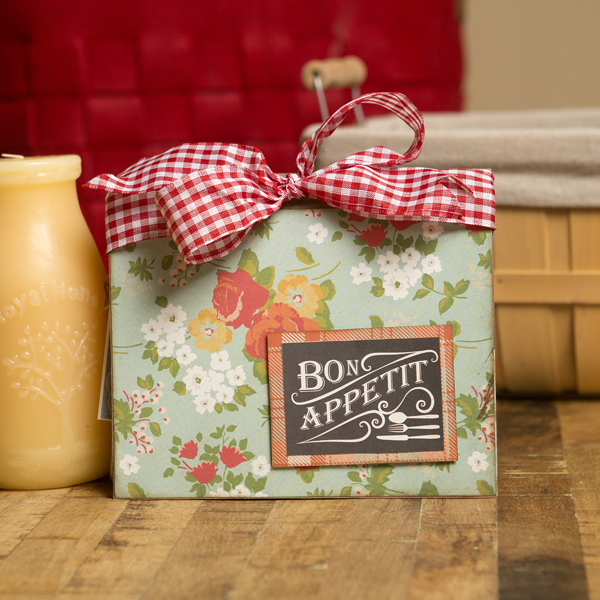 In addition, you will participate in a make & take during class highlighting the many uses of the goodies you receive while tapping into your creative juices for creating more! Upon completion of class, we will present you with a gift certificate to visit our booths for more shopping! This class is a hit and you don't want to miss out. There is absolutely nothing required for class, so come by to pick up your goody bag, have fun with the make & take, and go shop for more! What products will be highlighted: The best of the best products from the Krazy Kreations and Scrap That! booths. What will I learn or complete: A make & take will be completed in class. What techniques will I learn or use: You will learn how to use and be creative with the products you receive in class. Eat, drink, picnic, and enjoy life's simple pleasures. Join us as we create this fun album to celebrate everyday family life. 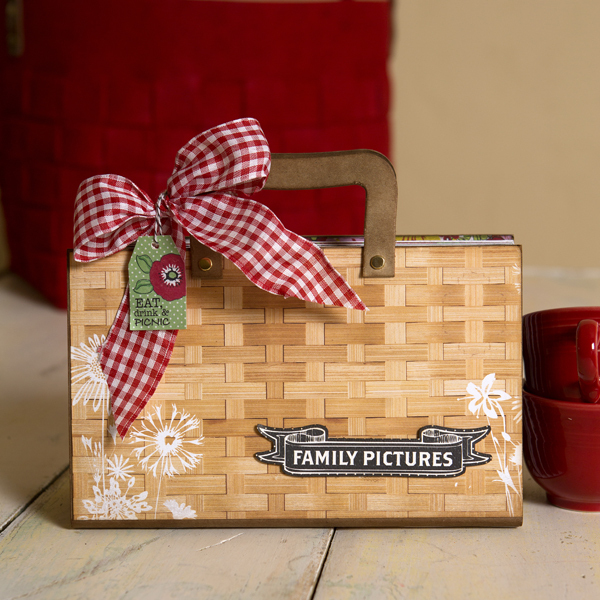 You will be creating this picnic basket-shaped album using one of Pinecone's 6x10 Blank Chunky Albums. As with all of Pinecone's kits, you will start this project in class covering and creating the more technical items. You will then finish the album at the crop or at home after you have added your photos – giving you hours of enjoyment! What products will be highlighted: Pinecone Press's Chunky Albums and paper from Authentique. What will I learn or complete: You will start your Family Pictures album. What do I need to bring to class: 12" paper trimmer, scissors, and adhesives (liquid, tape runner or glue stick, and Pinecone's 3/16" Red-Line tape). What special supplies are needed to finish this project at home: 12" paper trimmer, scissors, and adhesives (liquid, tape runner or glue stick, and Pinecone's 3/16" Red-Line tape). What techniques will I learn or use: You will learn how to create an album with Pinecone's 6x10 Blank Chunky album with a waterfall spine. Learn to make beautiful and original art cards embellished with all that Craft Fantastic has to offer! Create keepsake-quality correspondence using our new LUXE LINE of over-sized cards and envelopes made with the finest-quality paper available. Worthy of framing, these cards are perfect as a gift or the lucky recipient may remove the embellishment and wear it as a piece of jewelry. What products will be highlighted: Creative card construction in the Craft Fantastic style. What will I learn or complete: Two to five completed cards. Some homework may be required. What do I need to bring to class: Scissors and a bone folder. What techniques will I learn or use: You will learn Craft Fantastic card-making techniques. The Stamplistic line has some truly unique stamps and dies. In this class, our dies are the star of the show! 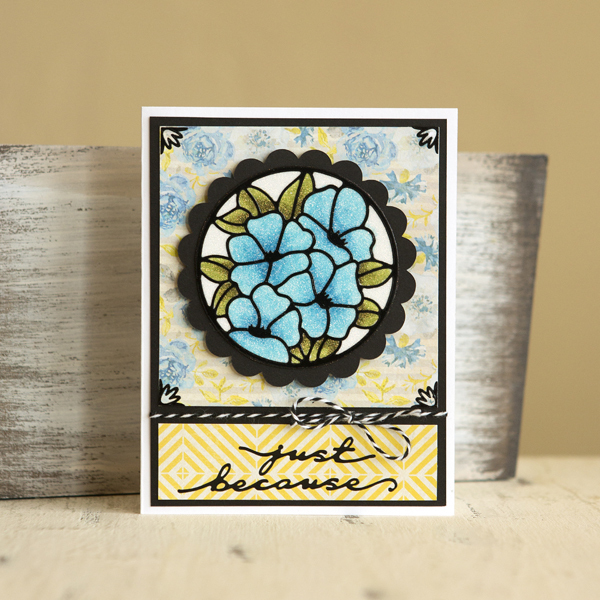 Stamplistic has many variations of dies that coordinate with our beautiful stamp designs. Here you will see how these dies can stand alone to create awesome cards! You will be using mirror paper, Mirri sparkle paper, and cardstock in combination to push these dies to their limits. These cards are super colorful and fun, and boy do they sparkle! By the way, the class is called "Fifty-Four" because you will use 54 Swarovski crystals to make these cards shimmer and shine! What products will be highlighted: Stamplistic dies, Swarovski crystals, mirror paper, and Mirri sparkle paper. What will I learn or complete: Two beautiful, over-sized and sparkled cards. What do I need to bring to class: Detail scissors, adhesive runner, pop dots, and liquid glue. What techniques will I learn or use: You will learn how to use single dies, mirror paper, and Mirri sparkle paper to make cards. Come join Krazy Kreations as we start our journey using beautiful flower outline stickers with Faber-Castell. This is the first class in a series of classes that will illustrate the fun and easy uses of adding color to images with Gelatos and other Faber-Castell products! We will primarily focus on Gelatos and other complimentary coloring tools. 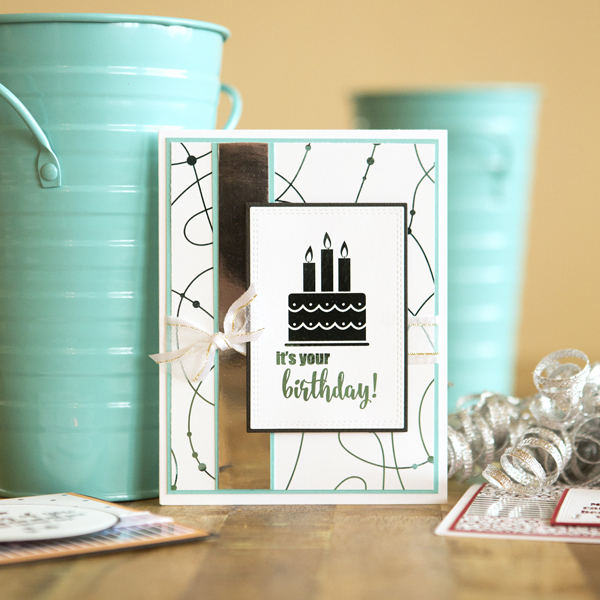 We will start class with a discussion about each product, then we will get our hands dirty as we color the images for two stunning cards utilizing different paper mediums along with the outline stickers and Gelatos. Please bring a basic tool kit to class (scissors, tweezers, various adhesive, etc). You will receive materials in class to color and a card kit to make a finished project after class, plus a swag bag of goodies including a gift certificate to the Krazy Kreations booth! What products will be highlighted: Faber-Castell Gelatos, outline stickers, paper mediums and more. What will I learn or complete: Colored flower images. You will also receive a card kit to make a finished project after class, plus a swag bag of goodies including a gift certificate to the Krazy Kreations booth! What do I need to bring to class: Basic tool kit: Scissors, tweezers, adhesive, etc. What techniques will I learn or use: You will learn how at add color with Gelatos utilizing a watercolor technique. Would you like to bring "oooohhhhs and aaaahhhhs" to your friends and family this Christmas Season? 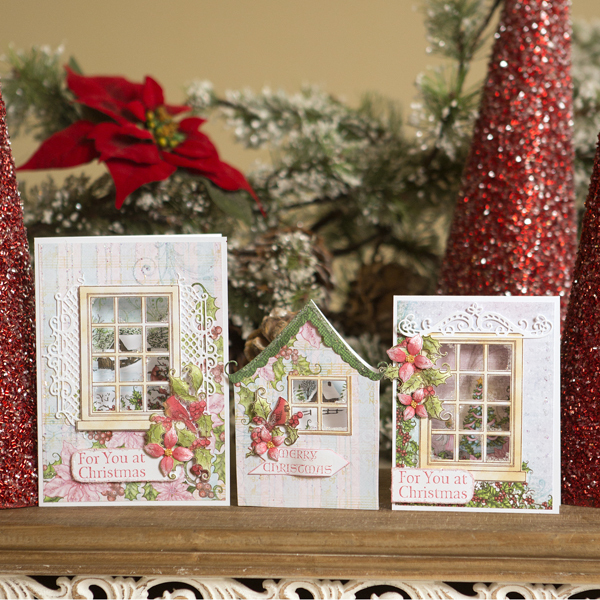 Join us to learn the latest tips and techniques for using color, frosting powder, elegant windows and decorative dies to create these Christmas-themed cards showcasing inviting window scenes. All set within a tranquil color palette of icy blues, pine greens, poinsettia pinks, berry reds and frosty whites, we will teach you the techniques to create these beautiful classic Christmas cards! We will provide step-by-step instruction and for simply taking the class, you will receive a coupon for a free $19.99 Cling Stamp Set of your choice to be redeemed in our booth. Heartfelt Creations classes are always loaded with creative techniques and you will leave with fresh inspiration. What products will be highlighted: Heartfelt Creations stamps, dies, papers, frosting powder, and coloring. What will I learn or complete: Three Christmas cards. What techniques will I learn or use: You will learn techniques for creating Christmas card scenes using frosting powder, coloring, and shaping. Want to add shine and a glamorous touch to your crafting projects? Come join Brian and learn how to use a Minc­™ heat laminator and common craft supplies to add a metallic finish to your cards and more. 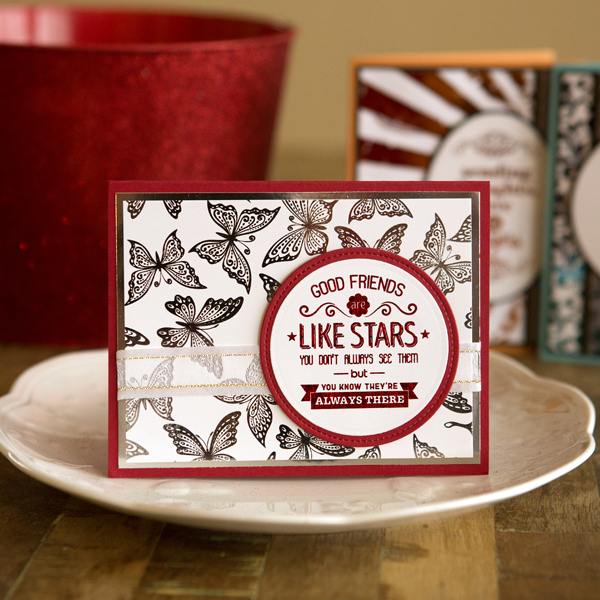 You will make three unique and beautiful cards using Gina K. Designs Foil-Mates and Deco Foil­™ by Therm O Web. Along with foils, we will also be using new Gina K. Designs wafer-thin dies and color-coordinating cardstock and ribbons. You will leave with three amazing cards and $15 coupon to use in the Craft Fancy booth. Get ready for a creative foil card-making workshop, along with prize giveaways and a 10% off discount to use at the Craft Fancy booth during the entire show weekend. What products will be highlighted: Gina K. Designs Foil-Mates, wafer-thin dies and color-coordinating cardstock, Deco Foil™ from Therm O Web, and the Minc­™ heat laminator. 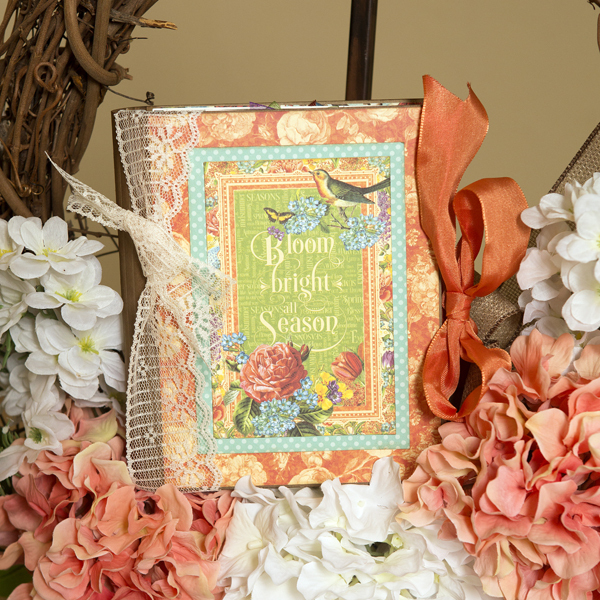 Bloom Bright with the beautiful Seasons collection from Graphic 45. Your "Seasons" album will be created with Pinecone's 6x8 Curved-Back Spine Album. 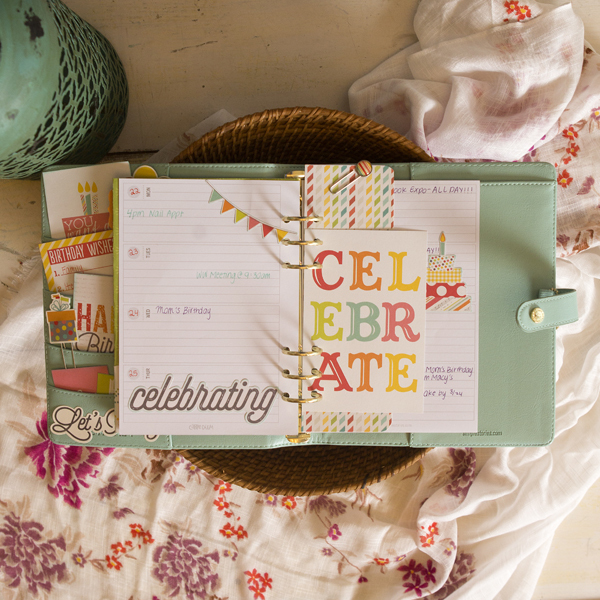 Celebrate each season as you create four colorful pages with flaps. As with all of Pinecone's kits, you will start this project in class covering and creating the more technical items. You will then finish the album at the crop or at home after you have added your photos – giving you hours of enjoyment! What products will be highlighted: Graphic 45's Seasons collection and Pinecone Press's 6x8 Curved-Back Spine Album. What will I learn or complete: You will start your beautiful Bloom Bright album in class. What do I need to bring to class: 12" paper trimmer, scissors. and adhesives (liquid adhesive and tape runner or glue stick). What special supplies are needed to finish this project at home: 12" paper trimmer, scissors. and adhesives (liquid adhesive and tape runner or glue stick). What techniques will I learn or use: You will learn how to create page flaps in your mini album. Good friends, good books, and good desserts are just a few of the very little and very big things in our lives! 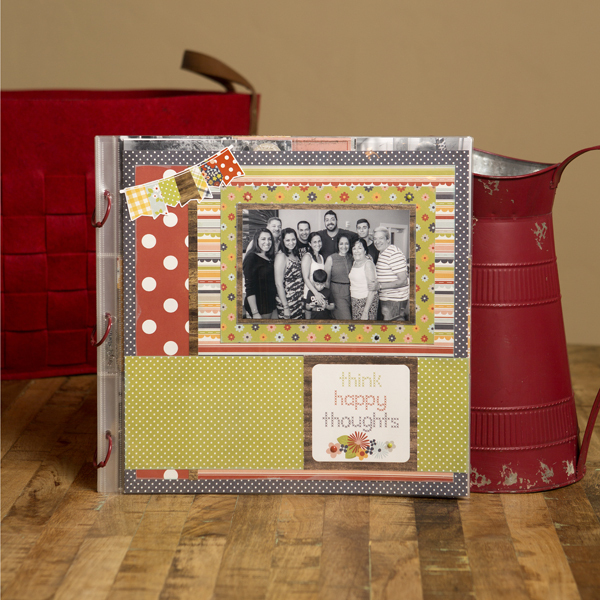 This fun 6 x 6" Chunky Album delightfully features all three – with flaps, glassine pockets, and lots of recipe cards to fill the pages. And as with all of Pinecone Press's kits, you will start this project in class covering the technical items and creating any difficult elements. You will finish the album at the crop or at home after adding your photos – giving you hours and hours of enjoyment. It's the perfect project to create for yourself or gift to a friend. So come join us and enjoy! What products will be highlighted: Pinecone Press's Blank Chunky Mixed Media Albums and Graphic 45 papers. What will I learn or complete: You will start your G45 Enjoy The Little Things album in class. What do I need to bring to class: 12" paper trimmer, scissors, and adhesive (liquid, tape runner or glue stick, and Pinecone's 1/2" Red-Line tape). Optional: Warm brown inks such as Tim Holtz Broken China and/or Vintage Photo. What special supplies are needed to finish this project at home: 12" paper trimmer, scissors, and adhesive (liquid, tape runner or glue stick, and Pinecone's 1/2" Red-Line tape). Optional: Warm brown inks such as Tim Holtz Broken China and/or Vintage Photo. What techniques will I learn or use: You will learn how to create an album with a waterfall spine, page flaps, and glassine pockets. In every woman, there is mystery... and so the mystery continues with this album. You will construct the album with Pinecone's 6x8 Chunky Album and the beautiful Midnight Masquerade collection from Graphic 45. This album is very interactive with flaps (one on the front cover and lots inside) and an accordion-fold section for hidden photos or journaling. And as with all of Pinecone Press's kits, you will start this project in class covering the technical items and creating any difficult elements. You will finish the album at the crop or at home after adding your photos–giving you hours and hours of enjoyment! 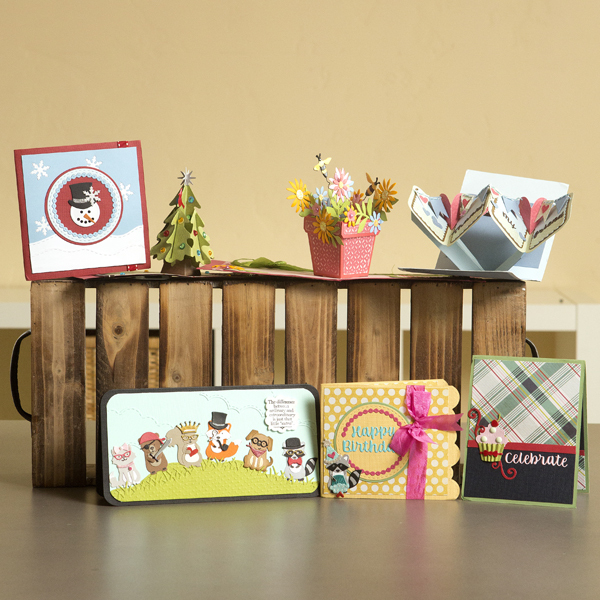 What products will be highlighted: Pinecone's 6x8 Blank Chunky Mixed Media Albums and Graphic 45 papers. What will I learn or complete: You will start your G45 Mystery Women album. What do I need to bring to class: 12" paper trimmer, scissors and adhesive (liquid, tape runner or glue stick and Pinecone's 3/8" Red-Line tape). Optional: Warm brown inks such as Tim Holtz Broken China and/or Vintage Photo. What special supplies are needed to finish this project at home: 12" paper trimmer, scissors and adhesive (liquid, tape runner or glue stick and Pinecone's 3/8" Red-Line tape). Optional: Warm brown inks such as Tim Holtz Broken China and/or Vintage Photo. What techniques will I learn or use: You will learn how to create an album with a waterfall spine and an accordion-fold section. 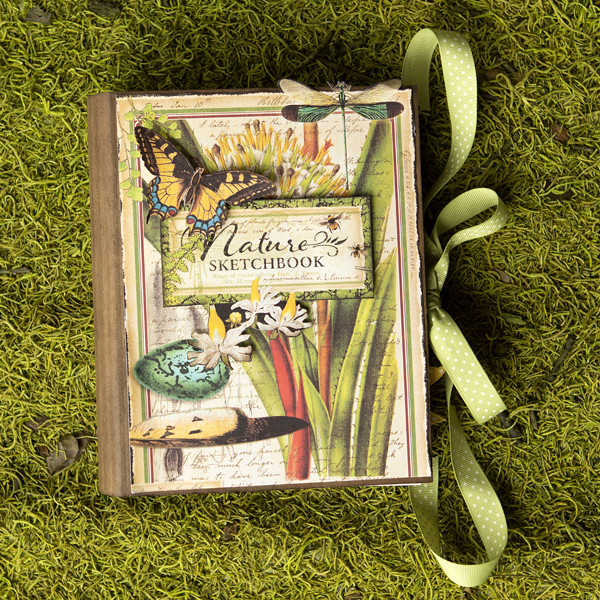 The wonderful images of nature have been transformed into the Nature Sketchbook collec- tion by Graphic 45. This collection was then used to create this truly beautiful 6 x 8" curved- back spine album project. In this class by Pinecone Press, you will get started on creating the album. Self flaps or fold-over flaps adorn each of the album's pages. At home, after adding your photos, you will finish up your album with icons from the patterned paper and a little fussy cutting. Full-color instructions will be included. What products will be highlighted: Pinecone Press's beautiful Curved-Back Spine Album and Graphic 45 Nature Sketchbook paper collection. What will I learn or complete: You will start your beautiful Nature Sketchbook album in class. What do I need to bring to class: 12" paper trimmer, scissors, and adhesive (liquid, tape runner or glue stick). Optional: Warm brown ink such as Tim Holtz Vintage Photo or Walnut Stain. What special supplies are needed to finish this project at home: 12" paper trimmer, scissors, and adhesive (liquid, tape runner or glue stick). Optional: Warm brown ink such as Tim Holtz Vintage Photo or Walnut Stain. What techniques will I learn or use: You will learn how to create flaps for your album pages and about the album's two-ring binder mechanism. How many photos from trips to the most MAGICAL place on Earth do you have tucked away undocumented? Memorabilia tucked away for a later date? Huge Disney vacations are challenging to scrapbook. Come join in the fun with Echo Park's latest class taught by Nicole Petersen – Getting Disney Done! You will use a 6 x 8" Echo Park mini album to create a more simple and fun way of remembering your vacation. You will create a hybrid album focusing on creativity as well as preserving your memories to share with your family and friends. Mixed media fun will be involved, along with die cutting and lots of embellishing! Note: You will need additional time at home to complete your album. What products will be highlighted: Echo Park's Magical Adventure and Magic and Wonder paper collections, 6x8 My StoryBook Photo Journal Album, Echo Park Die Cuts, hybrid page protectors, Melissa Frances custom-chipboard designs, and mixed media products. 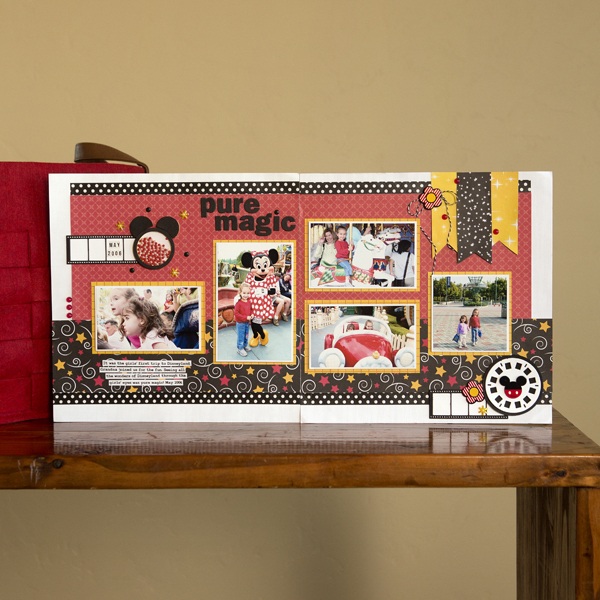 What will I learn or complete: A 6 x 8" Disney-themed chipboard album. What do I need to bring to class: 12" paper trimmer, scissors, glue stick, tape runner, glue pen, craft knife, self-healing mat, foam paintbrush, and baby wipes. Optional: Apron and gloves. What special supplies are needed to finish this project at home: 12" paper trimmer, scissors, glue stick, tape runner, glue pen, craft knife, self-healing mat, foam paintbrush, and baby wipes. Optional: Apron and gloves. What techniques will I learn or use: You will learn techniques with mixed media mediums, decoupage, embellishing, die cutting, coordinated theme planning, and more. Join us for a fun-filled Kiwi Lane class! 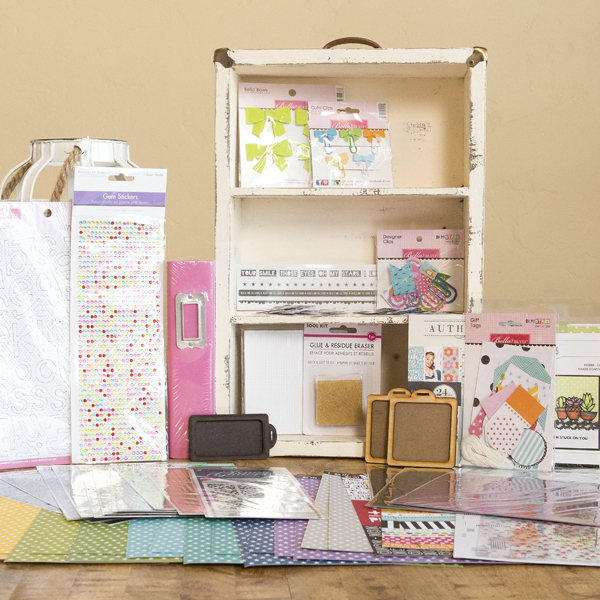 The Play-to-Create system by Kiwi Lane is a back- to-basics, hands-on approach to scrapbooking and card making. In this class you will learn how to use our Kiwi Lane templates – Design, Trace & Replace! By the end of the class, you will create three beautiful double-page layouts. You do not need to be an experienced scrapbooker to attend. Class space is limited, so reserve your seat today! What will I learn or complete: Three 12 x 12" double-page layouts. What do I need to bring to class: 12" paper trimmer, scissors, adhesive, and a pencil. What techniques will I learn or use: You will learn how to use Kiwi Lane designer templates. Don't you always need an extra birthday card on hand for a girl or a guy? In this class you will be able to make one of each. 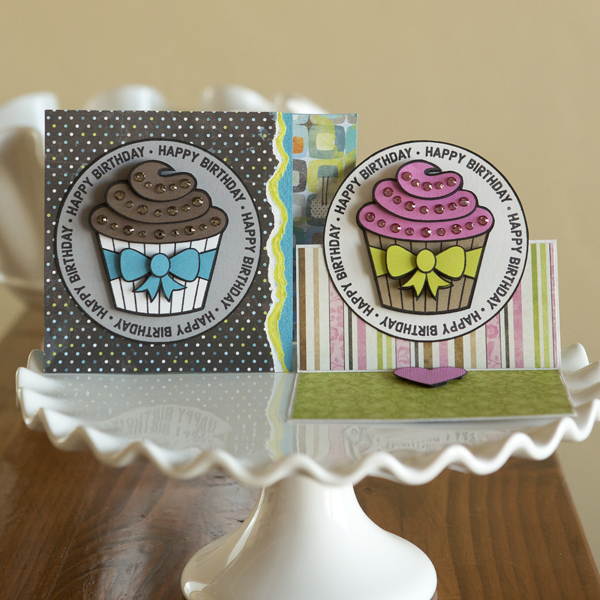 We will show you how to use one stamp, Stamplistic's "Sweet Treat", to create two different cards, His & Hers. Learn how to make this design truly dimensional so the cupcakes look good enough to eat! One card has a clever fold and the other has a clever opening. And of course, adding sparkle is a must with the Swarovski crystals you will receive! What products will be highlighted: Stamplistic's "Sweet Treat" stamp, Swarovski crystals, and Crystal Katana. What will I learn or complete: Two uniquely folded 6 x 6" cards. What do I need to bring to class: Detail scissors, adhesive runner, and pop dots. What techniques will I learn or use: You will learn two unique card folds and cutting and layering with depth. 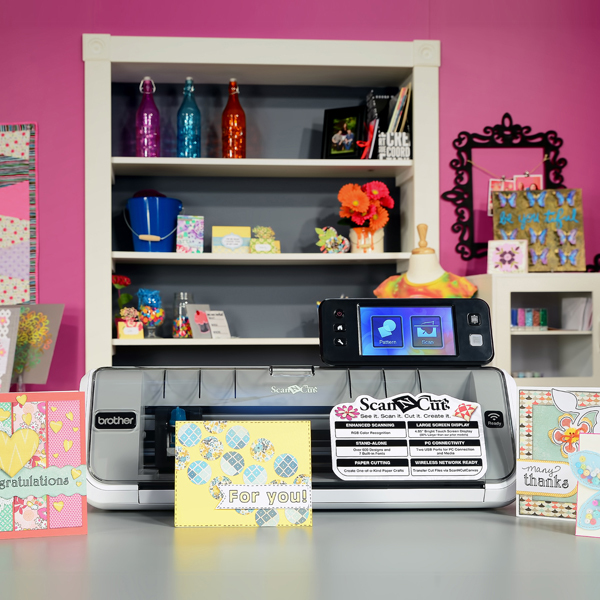 The Brother ScanNCut2 is one of the best machines to hit the crafting market in a very long time! This machine will scan images, do all the fussy cutting for you, AND it does not require a computer or internet access! Come listen to all the great attributes of ScanNCut2 as we walk through the basics and spend time on the scanning and direct-cutting features of this machine. You will receive a book from Brother filled with tips, illustrations, and examples of projects using the machine. There will also be several machines set up in class and time set aside for you to work in groups with a self-paced kit distributed in class. What products will be highlighted: Brother ScanNCut2 CM350. What will I learn or complete: This is a lecture-style class. You will receive a book from Brother filled with tips, illustrations, and examples of projects using the machine. What techniques will I learn or use: We will walk you through the basics and spend time on the scanning and direct-cutting features of this machine. Play with the best and the newest that Craft Fantastic has to offer! It's easy and fun to make heirloom-quality embellishments for cards and pages or beautiful, custom jewelry to wear or give as cherished gifts. Plus, you will work with over $60 in product. It's a great way to unwind after a day of shopping and fun at the Expo! What products will be highlighted: All of the exceptional products from Craft Fantastic. What techniques will I learn or use: You will learn how to create resin-like embellishments or jewelry pieces using Jeweler's Glass and Fantastic Glaze & Glue. What products will be highlighted: New products perfect for card making from Krazy Kreations, Sizzix/Stephanie Barnard and more! What do I need to bring to class: Scissors, hole punch, paper piercer, tweezers, black marker, and adhesive (fine-detail, tape runner, foam dots). What techniques will I learn or use: You will learn how to color on glitter paper using Copic Markers and Krazy Kreatiions' Outline Stickers and create a step-up card using dies designed by Stephanie Barnard for Sizzix. Calling all card makers! Whether you are new to card making or have been creating your own cards for years, you won't want to miss the Latest & Greatest: Card Swap! Bring 21 handmade cards to class with you, swap 20 of your cards, and receive 20 new cards from other card makers like you. Your 21st card will be displayed for a "Most Appreciated Card" vote. The winner will receive a very nice prize package. 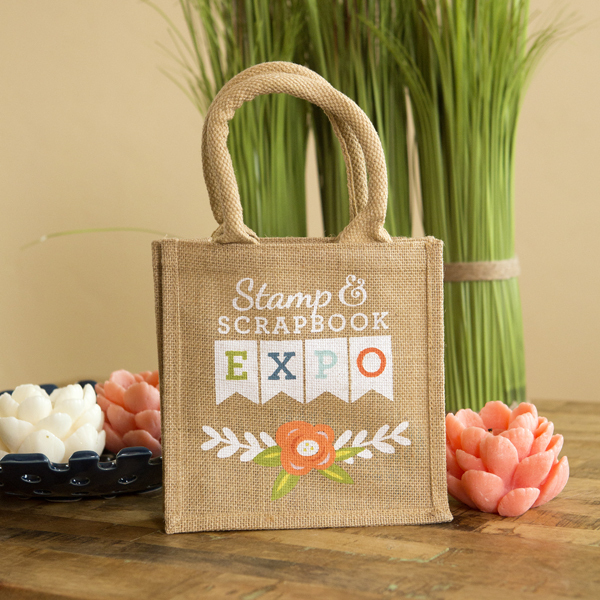 Stamp & Scrapbook Expo will provide you with snacks, a beverage, and some awesome goodies just for joining us. This is a great opportunity to sit down, relax, make new friends and share your card making creativity and ideas! What products will be highlighted: Learn about new techniques, ideas, and products from other card makers. What will I learn or complete: You will take home 20 unique cards you have swapped with other card makers. 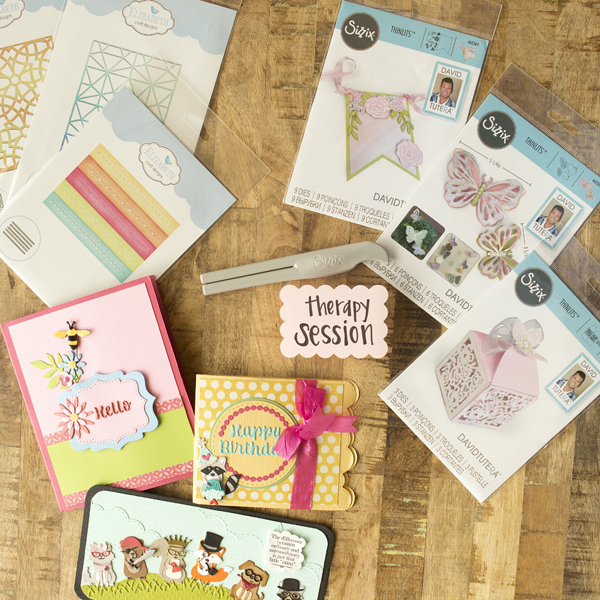 You will also receive some awesome card making supplies from Queen & Co, a special Card Swap Tote, an "I Swapped" button, and an exclusive sticker sheet from Krazy Kreations. What do I need to bring to class: 21 completed cards. There are no theme or product restrictions and envelopes are optional. Card theme ideas: Black & White, Thinking of You, or your favorite Seasonal Holiday. What techniques will I learn or use: Making friends and sharing ideas with other card makers. What will I learn or complete: You will take home 20 unique cards you have swapped with other card makers. You will also receive some awesome card making supplies from Darice, a special Card Swap Tote, an "I Swapped" button, and an exclusive sticker sheet from Krazy Kreations. What do I need to bring to class: 21 completed cards. There are no theme or product restrictions and envelopes are optional. 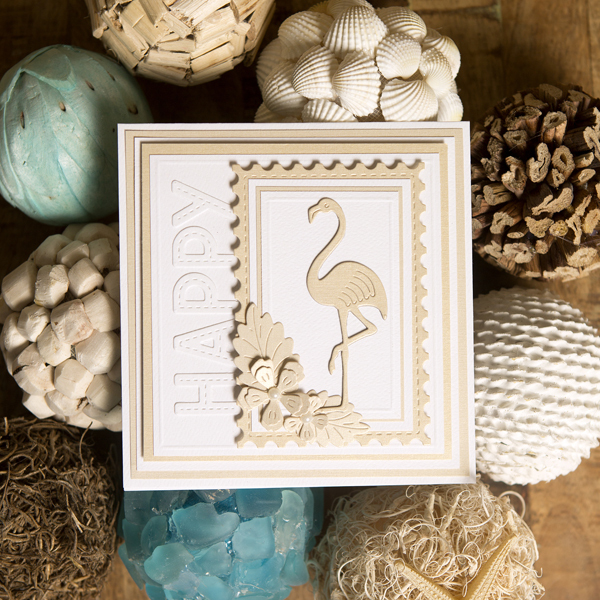 Card theme ideas: Use your favorite Embossing Folder or your favorite Seasonal Holiday. Use some of the newest tools on the market, plus enjoy some awesome tips and tricks in the Latest & Greatest: Cool Tools workshop. You will make two fabulous projects using the tools you take home. In addition to the projects, you will also leave with over $80.00 of wonderful products to use over and over again! What products will be highlighted: New tools and organizational items from La-La Land Crafts, Rinea and more! What will I learn or complete: A card and a gift box. What do I need to bring to class: Scissors and adhesive (fine-detail, tacky, tape runner, and foam dots). Optional: Scoring board/bone folder or ruler/stylus. What techniques will I learn or use: You will learn how to create a bow using Rinea Foil Paper and a template and about layering die cuts with La-La Land Crafts dies. Learn tips, tricks, and techniques for creative memory keeping in Stamp & Scrapbook Expo's newest workshop – Latest & Greatest: Scrapbooking! Whether you enjoy creating single or double-page layouts, pocket layouts, or even mini albums, this class is all about learning how to document your stories in creative and fun ways. Along with two fabulous layout projects, you will take home over $80.00 worth of products to capture more special memories! What products will be highlighted: New products perfect for documenting your stories from Felicity Jane, Photo Play Paper and more! What will I learn or complete: Two layout projects. What do I need to bring to class: 12" paper trimmer, scissors, black pen or pre-printed journaling, and adhesive (fine-detail adhesive, tape runner, foam dots). Optional: Date stamp, black ink, and 1" square punch. What techniques will I learn or use: You will learn how to work with die cut negatives and creating border to emphasize title. Learn new stamping techniques and creative ways to use stamps in Latest & Greatest: Stamping workshop. Whether you are a beginner or a veteran stamper, this class is for you! We have brought together some of the hottest stamps and accessories on the market for you to create with and enjoy. Along with two fabulous projects, you will take home over $80.00 worth of products to create with again and again! What products will be highlighted: New stamps and stamping-related products from Sizzix/Stephanie Barnard, Uchi's Design and more! What do I need to bring to class: Paper trimmer, scissors, hole punch, 3 x 4" acrylic block, ink (black, red, and yellow), washi tape, pencil, and adhesive (fine-detail adhesive, tape runner, foam tape). What techniques will I learn or use: You will learn about animation stamping and layered stamping using stamps and dies from Uchi's Design and Sizzix/Stephanie Barnard. Do you love layered mini albums but don't know how to get started? Join us to create a mini album with cute fairy-tale scenes perfect for adding photos and journaling of family, friends, pets, and so much more. We will go through the step-by-step process of creating the mini album, embellishing with dimensional florals, and pairing them with the bright and cheerful accents and wildwood cottage papers. This class will help build your confidence to create many more elegant mini albums. We will provide step-by-step instruction and for simply taking the class, you will receive a coupon for a free $19.99 Cling Stamp Set of your choice to be redeemed in our booth. Heartfelt Creations classes are always loaded with creative techniques and you will leave with fresh inspiration. What products will be highlighted: Heartfelt Creations stamps, dies and accessories. What will I learn or complete: A layered mini album. What do I need to bring to class: Favorite adhesive and scissors. Optional: Bone folder. We recommend bringing a 12 x 12" case to carry your 3D mini album after class. What techniques will I learn or use: You will learn how to create a mini album using flower-shaping, glittering, and coloring techniques. 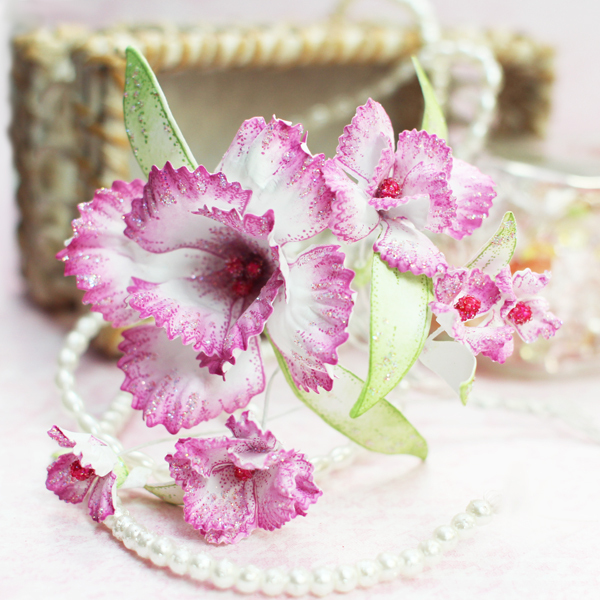 Do you love classic flowers? During this class, you will try five different techniques for combining thin metal dies with stamped images. You'll make projects using dies with matching stamps and some that don't. 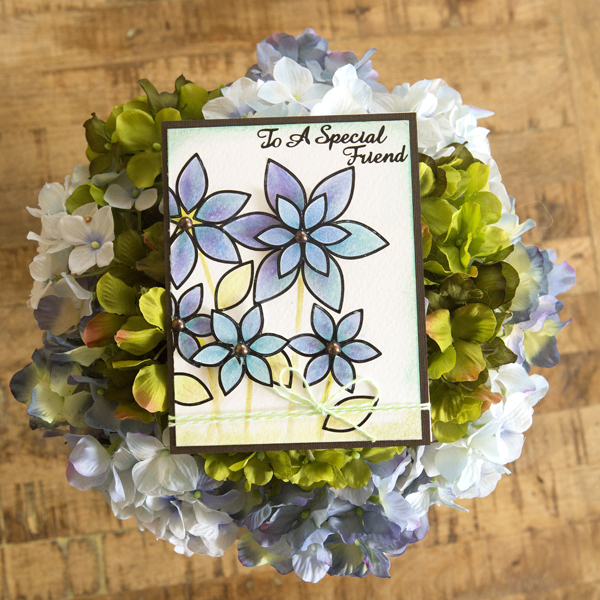 You'll also learn how to create partially die-cut flowers and more. 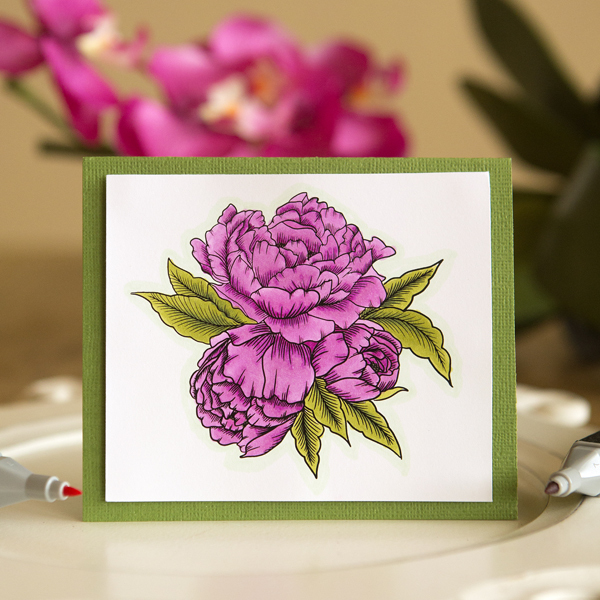 To add color to your stamped and die cut images, you will be using artist-grade PrismaColor Premier Colored Pencils to learn several shading and highlighting techniques. Each class kit includes an exclusive stamp set (including butterfly images plus sentiments) that is yours to keep, a coupon you can use in the Nicole Petersen Designs' booth during the show to receive 10% off your entire purchase, plus you'll have a chance during class to win additional Technique Tuesday products. Between the projects, the "to die for" techniques you learn, the freebie stamp set you'll take home, and the discount coupon, you are not going to want to miss this class! What products will be highlighted: Technique Tuesday clear stamps and steel dies, Simple Stories Color Vibe patterned paper, PrismaColor Premier Colored Pencils (designed for professional artists), Memento ink, and Wink of Stella. What do I need to bring to class: Large stamping block (3 x 4"), scissors, dry adhesive, and 3D foam adhesive. What techniques will I learn or use: You will learn various colored pencil coloring techniques, how to use a die-cutting machine, precision die cutting, partial die cutting, and partial stamping. For the second year in a row, we are taking on the planner craze. Join us and learn the basics for keeping yourself, your home, and your life more organized along with new techniques to use in your planner, scrapbooks, cards and more. We will then take you to the next step.... Memory Planning! It's the perfect mix of scrapbooking and planning – all rolled into one! A planner, photos, a few stickers and a pen are all you need to get started. Whether you took our class last year or are signing up for the first time, we can't wait to accompany you on this journey. And just joining us, you will receive a 40% discount on a planner in your favorite color at the A to Z Scrapbooking booth. What products will be highlighted: You will learn how to put together a planner using Simple Stories products in creative and fun ways to make it unique for you. What will I learn or complete: Completed weekly and monthly pages and added inserts. Planners can be purchased separately in the A to Z Scrapbooking booth. What do I need to bring to class: 12" paper trimmer, adhesive, hole punch, scissors, and an archival pen. What special supplies are needed to finish this project at home: Carpe Diem Planner, inserts for weekly/daily planning, any other desired organizing products. What techniques will I learn or use: You will learn how to add numeric, quote, and label stickers in creative ways and use unique metal embellishments that will add dimension to your planner. 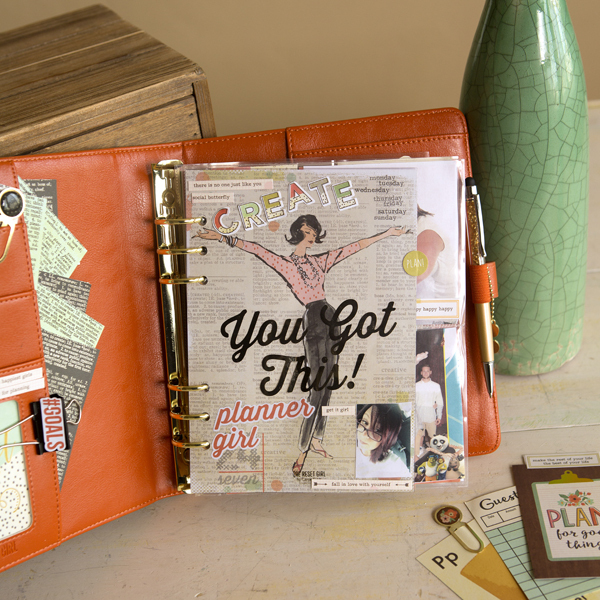 You will also learn how to incorporate mixed media into your planner. Yes, we all text and type these days, but there's still something very special (and increasingly rare!) about a beautifully scripted greeting. This class will introduce you to various styles of embellished lettering while using your own handwriting font as a base. Karen will talk about the basics of each style, the appropriate pens/tools to use, various markers and lettering supplies, and how pens can affect the different fonts you can create as a left- or right-hander. You will learn how to create some simple hand-drawn banners with floral embellishments and basic floral illustration. Different types of pens from Kuretake ZIG plus the new Spectrum Noir ArtLiner Pens will be provided for in-class use. You will take home a full-color instruction packet and a ZIG Brushables marker to further practice and explore. What products will be highlighted: Various styles of pens and markers to create lettering and illustrated images. What will I learn or complete: Practice lettering and a lettered banner card. What techniques will I learn or use: You will learn the basics of lettering ad illustration. Join Stayce DeWid and create this beautiful double-page layout! You will use several Art Anthology mixed media products and create a two page spread perfect for your summer layouts and more. As with all Art Anthology projects, you can create the layouts as shown or choose your favorite color scheme – it's up to you! What do I need to bring to class: Liquid adhesive such as 3-in-1 or FabriTac by Beacon and a heat tool (preferred). Optional: Gloves and an apron. What techniques will I learn or use: You will learn mixed media techniques using Art Anthology products and how to incorporate mixed media into your everyday scrapbooking. 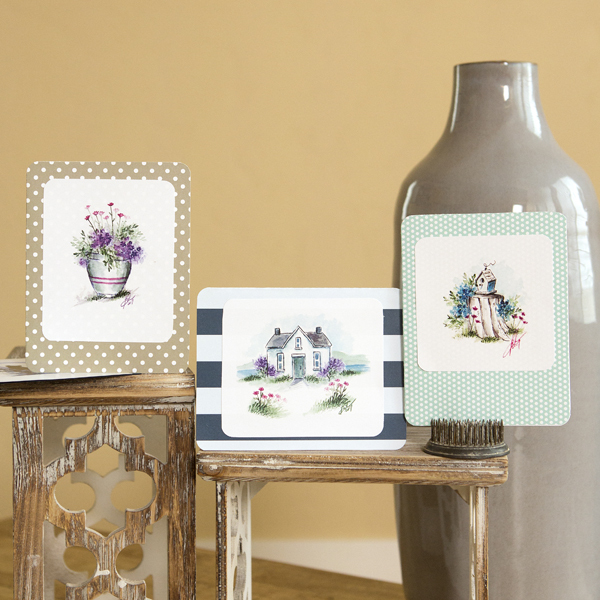 Do you love elegant frames and cards paired with delicate accent flowers? 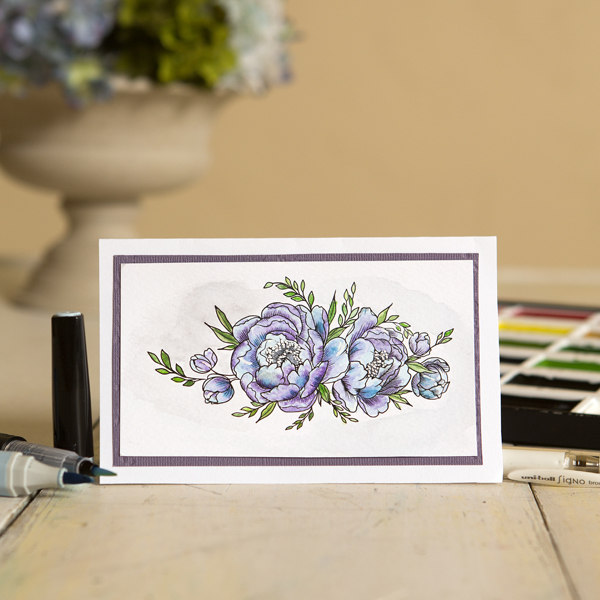 During this class, you will learn how to create and color these beautiful flowers and add them to your cards with time-saving techniques that will amaze you. These samples might look complicated, but we will show you just how easy it is to create your own masterpieces. 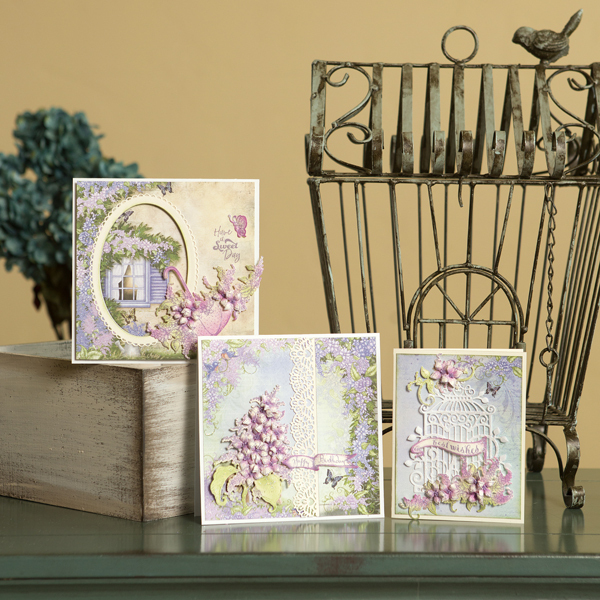 Paired with a soft color theme and pretty backgrounds, this perfect card trio is sure to take your breath away! We will provide step-by-step instruction and for simply taking the class, you will receive a coupon for a free $19.99 Cling Stamp Set of your choice to be redeemed in our booth. Heartfelt Creations classes are always loaded with creative techniques and you will leave with fresh inspiration. What products will be highlighted: Heartfelt Creations stamps, dies, flower shaping, and coloring. What do I need to bring to class: Favorite adhesive, tweezers, and foam dots. We recommend bringing a 12 x 12" case to carry your 3D cards after class. What techniques will I learn or use: You will learn to create decorative cards with dimensional floral accents. You will also learn flower shaping, coloring, glittering and so much more. Join us for a fun-filled Kiwi Lane class! 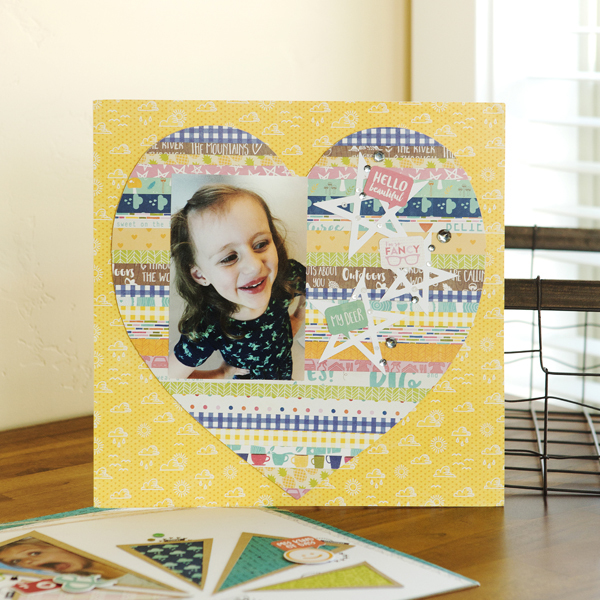 The Play-to-Create System by Kiwi Lane is a back-to-basics, hands-on approach to card making. 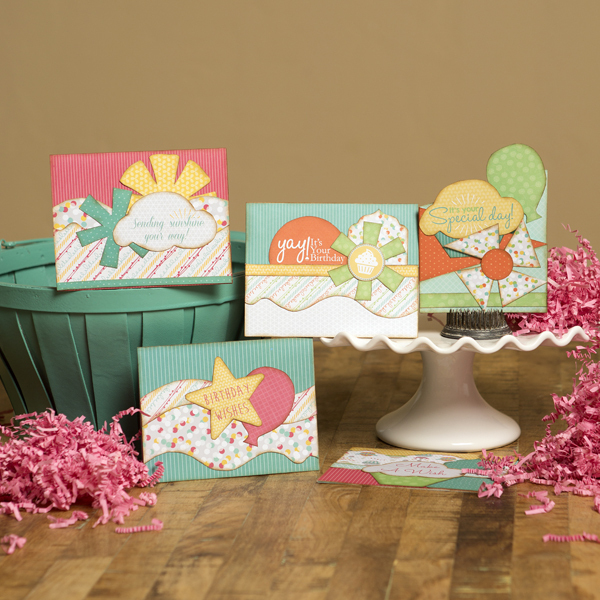 By the end of the class, you will create five beautiful cards using the Kiwi Lane system – Design, Trace & Replace! You do not need to be an experienced card maker to attend. Class space is limited, so reserve your seat today! What do I need to bring to class: Paper trimmer, scissors, adhesive, and a pencil. Come and join us for an hour of fun while learning how to make a calendar album out of paper bags! You will receive the the first four months of layouts with the calendar pages to get you started. The layouts worked on in class may vary from the images shown. The remaining 8 months of layouts will be available to purchase at a discounted price. What products will be highlighted: You will be learning how to turn those paper bags into an album while paper piecing die cuts to to create your monthly page layouts. What will I learn or complete: You will leave with a paper bag album and layouts for four months. The remaining months will be available for purchase at a discounted price..
What do I need to bring to class: Scissors, adhesive, and black ink. What special supplies are needed to finish this project at home: Basic supplies. What techniques will I learn or use: You will learn how to add dividers and slip in papers to add more photos and journaling of those special occasions throughout the year. 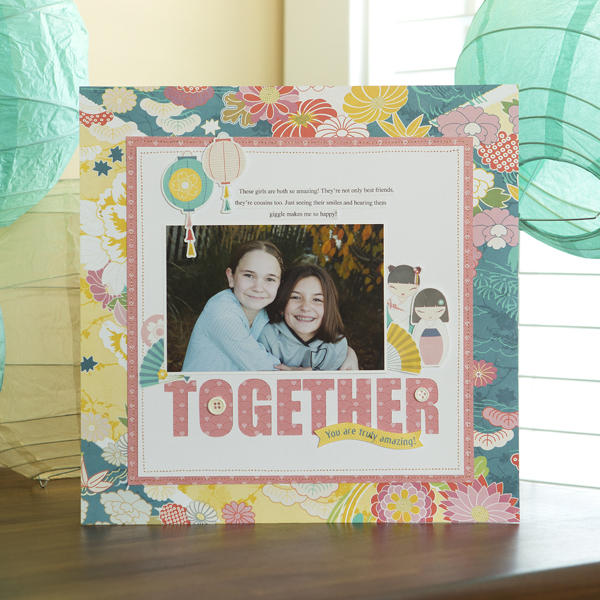 Join us for some album layout fun with Creative Memories Mix & Match! This two-page layout is designed to complement and contrast layouts, all while enhancing your photos. Get as creative as you want or keep it simple – Mix & Match works for all projects. You will be introduced to the Creative Memories' border maker system, custom cutting system using rectangle shapes, and our latest beautiful patterned papers. Class space is limited, so reserve your seat today! What products will be highlighted: You will be working with Creative Memories products and learning about Creative Memories tools: border-maker system, custom-cutting system, corner rounder, and more. What will I learn or complete: Two 12 x 12 layouts. What techniques will I learn or use: You will learn how to measure and properly trim paper for layouts, how to use our border maker system, how to use our custom cutting system, and what adhesives to use for different paper shapes. Come join Art Anthology for some card-making fun! 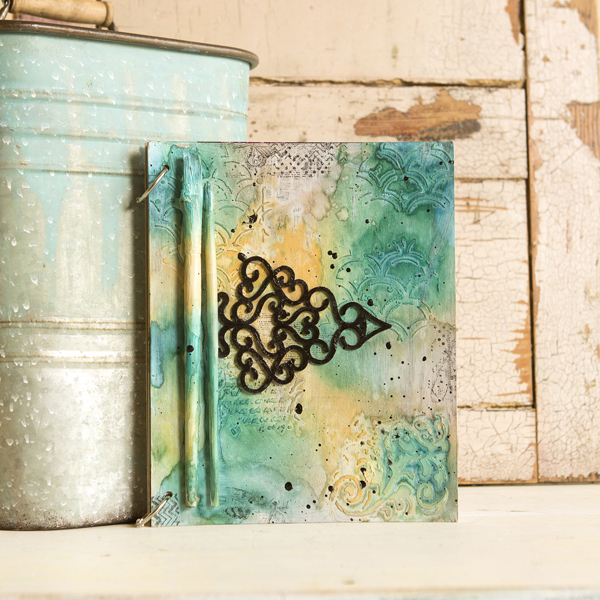 In this technique class, we will show you tips and tricks for adding mixed media to your cards. 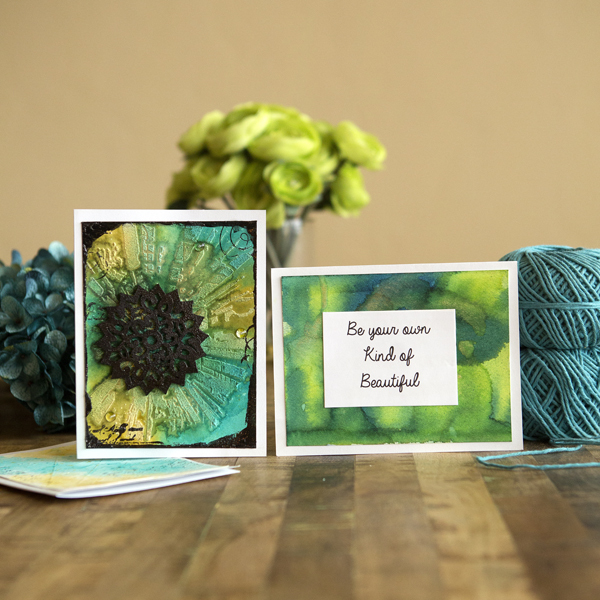 You'll make three cards using Art Anthology mixed media products. And as with all of our workshops, you can create your projects like the samples or choose your own color schemes – it's up to you! What products will be highlighted: Art Anthology mixed media projects. What will I learn or complete: Three mixed media cards. What do I need to bring to class: Liquid adhesive like 3-in-1 or FabriTac from Beacon and a heat tool. Optional: Gloves and an apron. What techniques will I learn or use: You will learn mixed media techniques for your card making and more using Art Anthology mixed media products. Come explore the beautiful and creative world of Nuvo Embellishment Mousse. In this technique-driven class, you will learn blending techniques to create unique backgrounds. 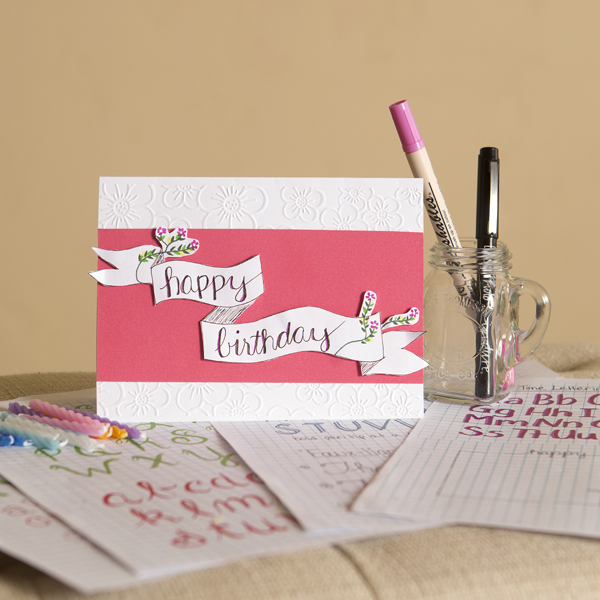 Your class kit will include three mousses, a 3-piece brush set, Nuvo glue pen, and enough papers to create four of these lusciously large, A7 cards. What products will be highlighted: Tonic Studios Nuvo Embellishment Mousse and Nuvo Glue Pen. What will I learn or complete: You will complete two cards in class and take home supplies to complete two more cards at home, as well as some technique extras. What do I need to bring to class: Scoring board. What special supplies are needed to finish this project at home: Scoring board. What techniques will I learn or use: You will learn how to create dimensional die cuts, how to blend Nuvo embellishment mousse to create beautiful backgrounds, and other various uses for mousse and ways to incorporate it into your other scrapbooking and card making projects. 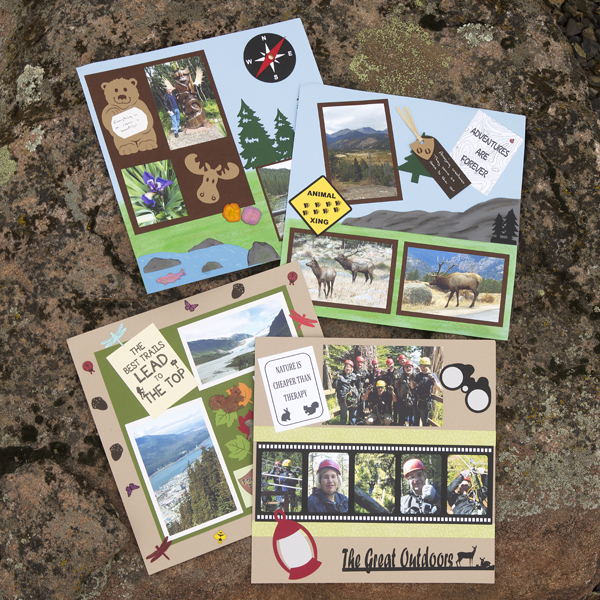 Join us for a fun class creating a four-page layout to record your outdoor vacation memories using our great laser cuts! We will show you how to create a background, add detail, and color our wood miniatures using Gelatos. You will also learn different ways to create titles/tags to add pizzazz to your pages. Your kit will include exclusive laser cuts, a sheet from our new travel cardstock collection, and two Gelatos for you to use and keep. Other Gelatos colors and glue will be provided for you to use in class – just bring your favorite paper trimmer. And as a bonus, bring your class ticket to our booth after class to receive a special gift. What products will be highlighted: Gelatos and Petticoat Parlor laser cuts and new travel cardstock collection. What techniques will I learn or use: You will learn how to use Gelatos to create a background, to add detail to plain cardstock and to color our wood miniatures. You will also learn different ways to create titles/tags to add pizzazz to your pages. 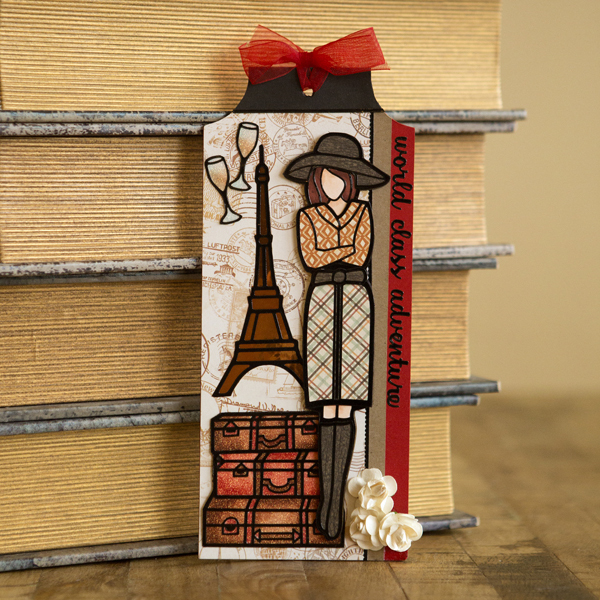 Don't you love beautiful paper doll tags? Come join us as we walk you through our brand new products including a girl sticker with matching chipboard image, chip tags, embellishments and paper. Lots of different techniques will be illustrated such as the use of our outline stickers and chipboard, coloring with Copic markers on handmade glitter paper, and paper piecing with Authentique paper. You will receive materials in class to complete a finished project along with a swag bag of goodies including a gift certificate to the Krazy Kreations booth! What products will be highlighted: Outline stickers, chipboard, Copics, glitter paper, Authentique paper and more. What will I learn or complete: A paper doll tag. What do I need to bring to class: Basic tool kit such as scissors, tweezers, variety of adhesive, etc. What techniques will I learn or use: You will learn how to make a beautiful tag using different techniques such as the using our outline stickers and chipboard, coloring with Copic markers on handmade glitter paper, and paper piecing with Authentique paper. 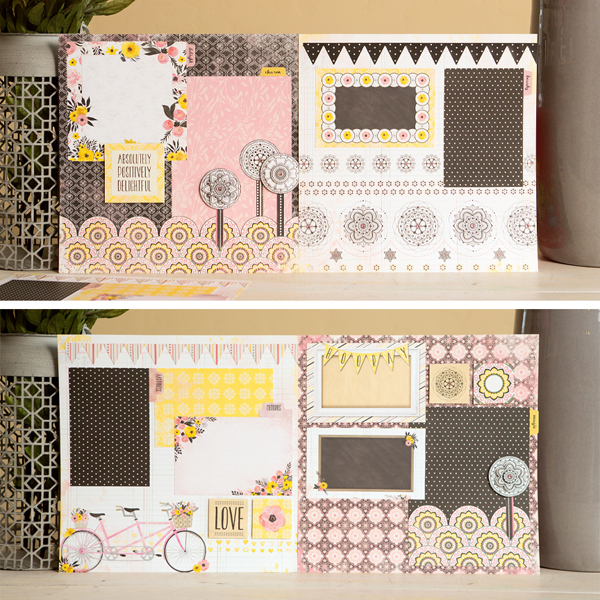 Using BoBunny's pretty "Petal Lane" collection of papers, you will create not one, but TWO DOUBLE PAGE SPREADS! These pages are versatile and can be used for just about any occasion. You will have extra stickers and cut-aparts left over after you complete these pages. Some creative cutting and layering make these pages fun and interesting. There are pretty pink Swarovski crystals placed all over these pages to make them positively perfect! What products will be highlighted: Stamplistic Cut and Layer stamps, Swarovski crystals, and Crystal Katana. What will I learn or complete: A four-page layout spread! What do I need to bring to class: 12" paper trimmer, detail scissors, adhesive runner, and pop dots. What techniques will I learn or use: You will learn cutting and layering techniques. Pop Up, Twist, Accordion... Oh My! "How did you do that?" You won't be asking that question after this amazing lecture-style class! You will be on the edge of your seat learning how to use these innovative, cutting-edge dies. We will break down the secrets of each card like the Twist Panel, the Flower Pot Pop-Up, the Circle Twist, and more. You will learn the techniques that make Karen Burniston so popular and just how her cards work. (It is easier than you think!) You will receive a "Swag Bag" filled with some awesome products from ItsCheaperThanTherapy.com, an amazing coupon to be used exclusively in the ItsCheaperThanTherapy.com booth, and have a chance at a special giveaway during class. Bring your pen/pencil and a camera, sit back and relax, and get ready to learn and enjoy! What products will be highlighted: The innovative, interactive dies and products by Karen Burniston. What will I learn or complete: This is a lecture-style class. You will receive a "Swag Bag" filled with products from ItsCheaperThanTherapy.com & an amazing coupon to be used in the ItsCheaperThanTherapy.com booth. What do I need to bring to class: Pen/pencil and a camera. What techniques will I learn or use: You will learn how easy it is to use Karen Burniston's innovative, interactive dies that will bring your paper crafting to new heights. Disney photos piling up? Need to get your creative juices flowing? Then this is the class for you! In this class, you will create a very special and magical double-page layout using the latest products from Queen & Co's 2018 Magic Collection. You will also learn how to incorporate Queen's exclusive Disney-inspired shaker shape elements, die cuts, and unique embellishments in all your Disney-themed paper crafting projects. What products will be highlighted: Queen & Co's shaker elements, die cuts, papers, and gemstones embellishments. What will I learn or complete: 12 x 12" double-page layout. What do I need to bring to class: 12" paper trimmer, detail scissors, adhesive, and liquid glue. What techniques will I learn or use: You will learn how to build and apply shaker elements and dies cuts for use on 12 x 12" layouts. Paper, paper, and even more paper... and don't forget the embellishments! This fast-paced scrapbooking class designed by Nicole Petersen with YOU in mind will inspire you to create one-of-a-kind layouts mixing and matching paper collections. You will join along with other paper addicts like you, learning how to add texture and shine with pattern and color, for photo-first, embellished pages. Two 12 x 12" layouts will be completed in class, and you will receive photos and instructions to make a total of six beautiful layouts. Your massive kit will include: 36 double-sided 12 x 12" designer papers (THREE complete paper collections! ), five packs of embellishments, cardstock, a stamp set, and more! This is over a $100 value! What products will be highlighted: Designer scrapbook paper and embellishments. What do I need to bring to class: 12" paper trimmer, scissors, tape runner, double-sided tape, and pencil. What special supplies are needed to finish this project at home: 12" paper trimmer, scissors, tape runner, double-sided tape, and pencil. What techniques will I learn or use: You will learn about photo-first, embellished scrapbooking, choosing colors and patterns from multiple paper collections, using die cuts, stamping on layouts, creating with different size photos, and more. 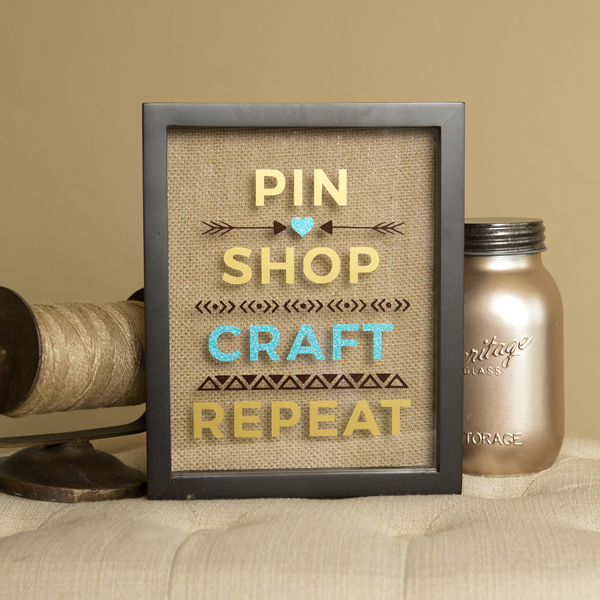 Come join us for a fun class using Simple Stories' Vintage Blessings collection and 6x8 Burlap Sn@p! Album to create a one-of-a-kind album to showcase your favorite family photos. We will explore techniques using chalk writers and other items to take simple elements to a whole new level! 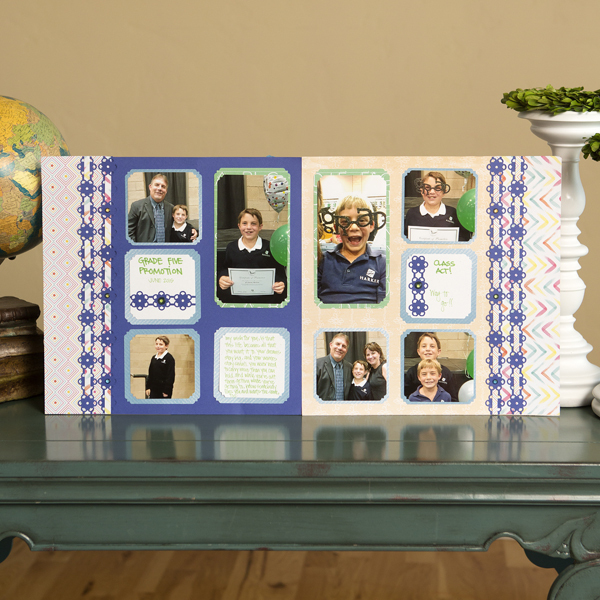 Layering, page pockets, flips and pull outs will all add to this project to make your album a cherished item you will want to share with everyone! You will leave with an amazing individualized book and plenty of fun extras to use in your other projects! 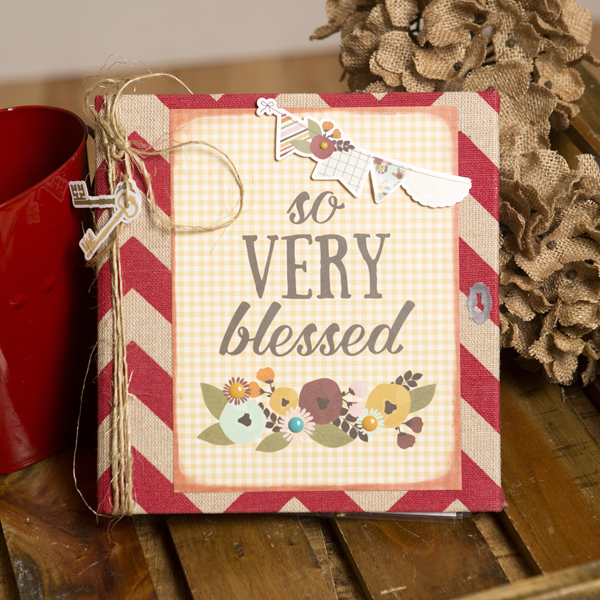 What products will be highlighted: Simple Stories Vintage Blessings collection, 6x8 Sn@p! Album, chalk writers, adhesives, and more. 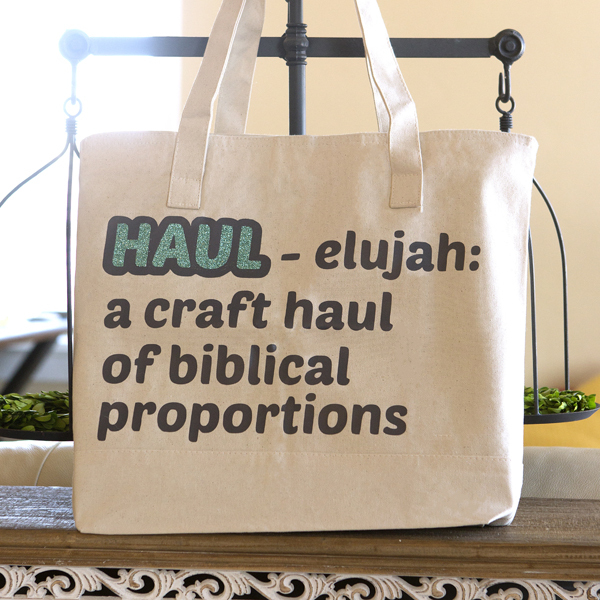 What will I learn or complete: You will leave with a one-of-a-kind 6 x 8" Burlap Sn@p! Album to feature your favorite family photos! What techniques will I learn or use: We will use chalk writers and other items to enhance simple elements and take them to a new level. You will make fun pages and pockets for a beautiful place to share favorite family photos. 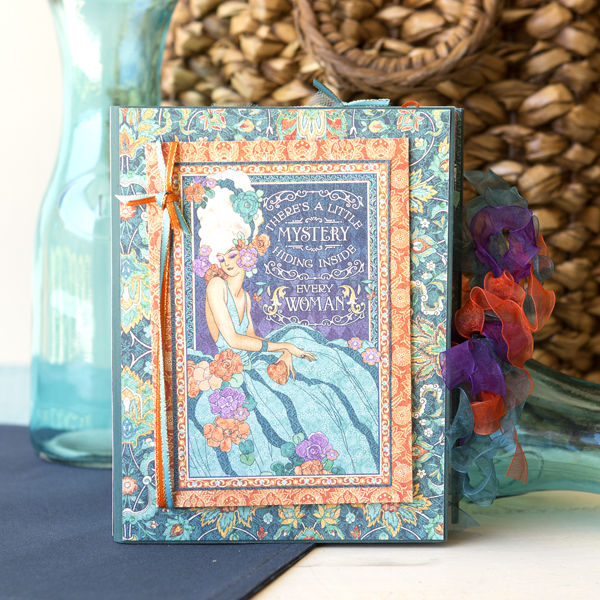 Aside from completing cards in this class, Els van de Burgt will introduce you to her favorite products – Silk Microfine Glitter and Soft Finish Cardstock. 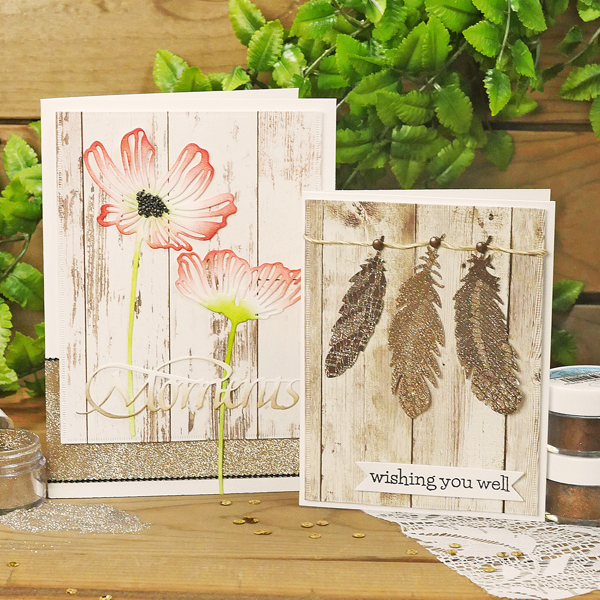 You'll learn how to combine our Silk Microfine Glitter with Clear Double-Sided Adhesive and lace to create gorgeous feathers and how to color and bring out the texture of our Soft Finish Cardstock. 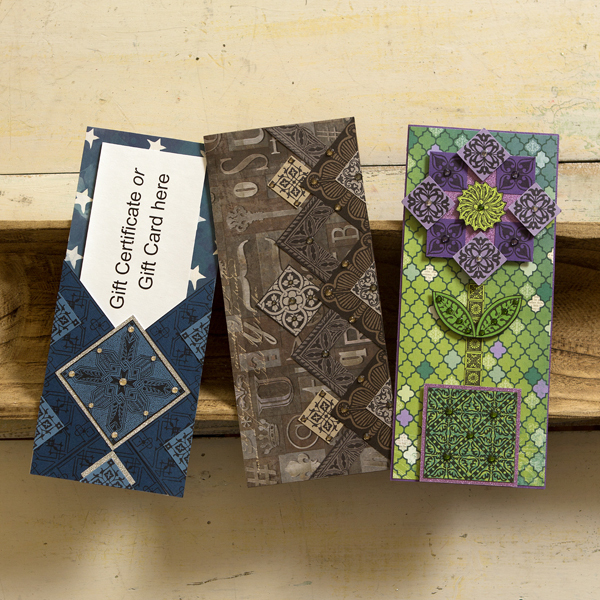 These beautiful cards feature dies, stamps, and paper from Joset van de Burgt, Suzanne Cannon, and ModaScrap. What products will be highlighted: Elizabeth Craft Designs Silk Microfine Glitter, Clear Double-Sided Adhesive, and Soft Finish Cardstock. What will I learn or complete: Two beautiful cards. What do I need to bring to class: A basic card making kit: Paper trimmer, scissors, double-sided adhesive, and 3D foam dots. What techniques will I learn or use: You will learn how to combine our Silk Microfine Glitter with Clear Double-Sided Adhesive and lace and how to color and bring out the texture of our Soft Finish Cardstock. Join us for a fun-filled Kiwi Lane class! 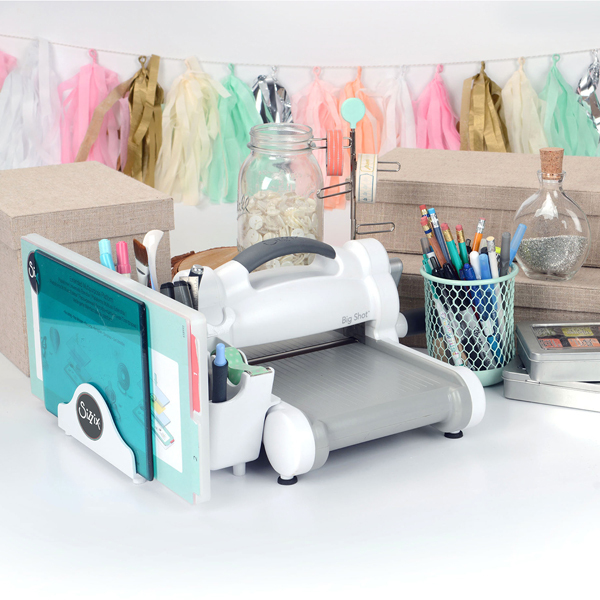 The Play-to-Create system by Kiwi Lane is a back-to- basics, hands-on approach to scrapbooking and card making – Design, Trace & Replace! In this class, you will learn how to create with our Kiwi Lane templates. By the end of the class, you will create three beautiful double-page layouts . Class space is limited, so reserve your seat today! What will I learn or complete: Three double-page layouts. What techniques will I learn or use: You will learn about Kiwi Lane designer templates. Summer Days in a Sn@p! Join us in making a great 4 x 6" Sn@p! 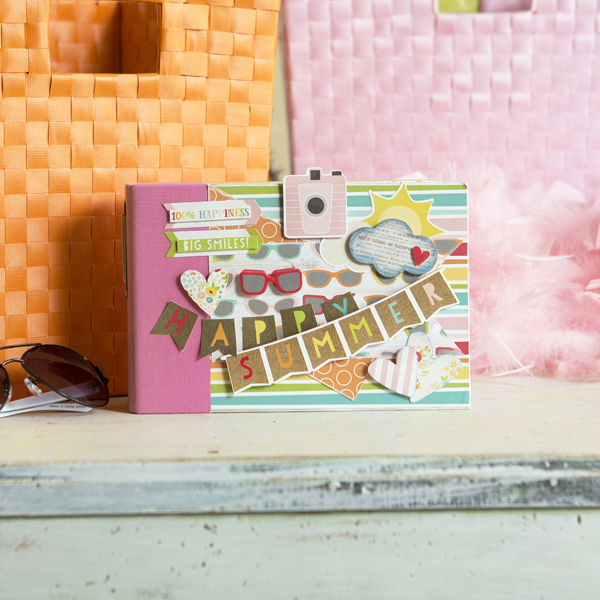 album full of fun pockets, pages, folds and pull outs to highlight all of your summer photos! Using fun techniques combined with Simple Stories Summer Days collection, chipboard elements, enamel dots, chalk writers and more, we will work together to create a one-of-a-kind album that will show off photos of your favorite summer days! What products will be highlighted: Simple Stories 4x6 Sn@p ! 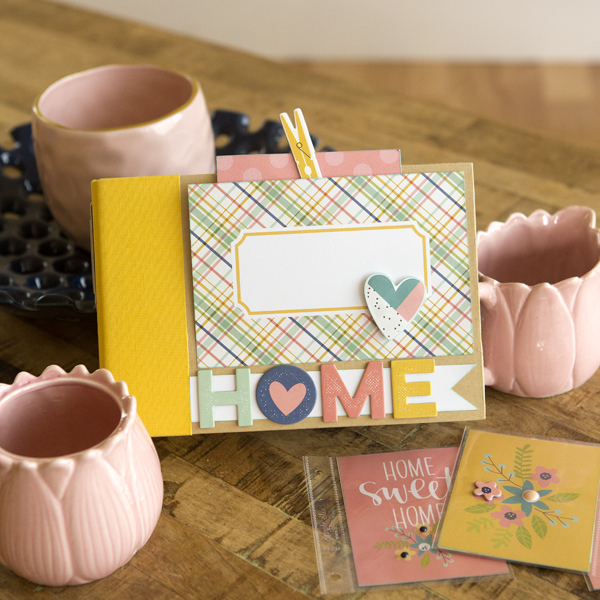 Album, Summer Days papers & accessories, chalk writers, craft glue and more. What will I learn or complete: A 4 x 6" Sn@p! Album full of fun Summer Days pages all ready for you to add your photos too! What techniques will I learn or use: You will learn to make fun pages, layer items, enhance your embellishments, and create pockets, pullouts and flip pages. We will explore new and fun ways to use simple stickers, paper and paper pieces. There really is an infinite amount of creative ways you can use a square! In this Stamplistic class, you will create THREE terrifically tall cards that can all fit in a business envelope. One card might be perfect for the men in your life, one card has a gift card enclosure, and one card is just a beautiful, blooming flower. 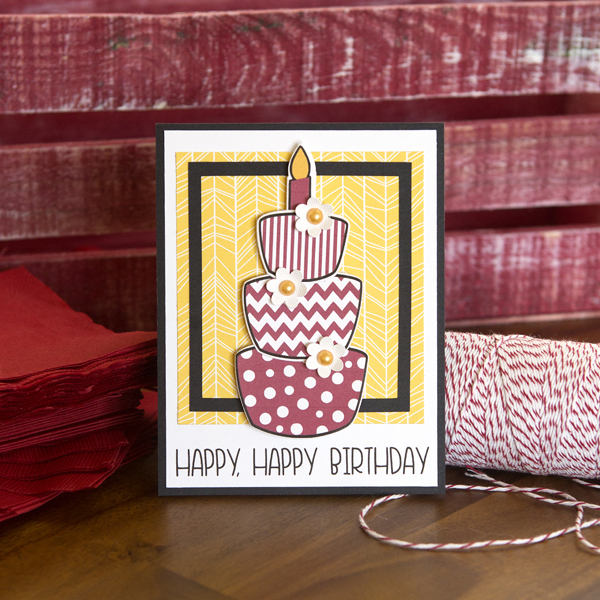 On all three cards, you will learn new ways to cut, layer, and manipulate Stamplisitic's Design Square stamps. And all three cards use beautiful Swarovski crystals of course! What products will be highlighted: Stamplistic squares, Swarovski crystals, and Crystal Katana. What will I learn or complete: Three "Tall & Attractive" cards. What techniques will I learn or use: You will learn three ways to cut, layer, and manipulate design squares. It's getting hot in here... literally! We are firing up our Cricut EasyPress™ machines to show you how to use Heat Transfer Vinyl (HTV). Come join us for a fun-filled hour where we will share our favorite tips on how to cut, weed, apply, and press HTV for any project from start to finish. Class will begin with a quick demo on how to cut HTV using the Silhouette Cameo 3. (Please note: Class kit items will be pre-cut and the products used in class may differ slightly from the project shown.) This class is perfect for those curious about the world of HTV. You will also receive an exclusive coupon to be used in the Crafter Depot booth. What products will be highlighted: Silhouette Cameo 3, Cricut EasyPress™, Siser Heat Transfer Vinyl and accessories. What techniques will I learn or use: You will learn how to cut, weed, apply and press Heat Transfer Vinyl. Come join Scrap That! and Simple Stories as we combine the wonderful world of planning with the magical world of memory keeping! This is a great way to get and stay organized and record your photos and memories along the way. Join us as we talk about planning creatively while capturing day-to-day memories to create a time capsule that you can look back on for years to come! You will leave this class with a COMPLETE Simple Stores Reset Girl Planner, all of the months to create and plan for an entire year as well as plenty of other Simple Stories Reset Girl product to get you well on your way to making an amazing organizer! What products will be highlighted: Simple Stories Reset Girl Planner, Reset Girl Collection Kit and Sn@p! Pages. What will I learn or complete: A COMPLETE Simple Stories Planner/Memory Keeper. What do I need to bring to class: Paper trimmer, scissors, adhesives, pop dots, fine-tip writing marker (black and/or any colors you may like), hole punch, and photos. What special supplies are needed to finish this project at home: Paper trimmer, scissors, adhesives, pop dots, fine-tip writing marker (black and/or any colors you may like), hole punch, and photos. What techniques will I learn or use: We will explore ways to get organized while memory keeping all at the same time. We will get you started on a planner you can use every day! Come learn about the latest and greatest products from Sizzix, Elizabeth Craft Designs, and ItsCheaperThanTherapy.com! In this informative, lecture-style class, sit back and relax as we show and tell you about all of the new goodies that these brands have to offer. Along with this information, you will receive a terrific "Swag Bag" filled with goodies from ItsCheaperThanTherapy.com, an amazing coupon to be used in exclusively in the ItsCheaperThanTherapy.com booth, and a chance to win a $25 gift certificate to be used at the show. What products will be highlighted: The latest and greatest products from Sizzix, Elizabeth Craft Designs, and ItsCheaperThanTherapy.com. What will I learn or complete: A terrific "Swag Bag" filled with goodies from ItsCheaperThanTherapy.com and an amazing coupon to be used exclusively at the ItsCheaperThanTherapy.com booth. What techniques will I learn or use: You will learn tips for using the latest and greatest products from Sizzix, Elizabeth Craft Designs, and ItsCheaperThanTherapy.com. Come learn and play along with fellow mixed media enthusiasts in this fast-paced class taught by Nicole Petersen. You will discover the world of texture paste, stenciling, watercoloring, adding dimension, and more as you create TWO 8 x 9" mixed media samples. Walk away with the confidence to continue exploring and discovering art mediums to apply to your daily DIY projects. Your take-home kit will include four Zig Clean Color Real Brush Markers and a large custom-designed stencil. What products will be highlighted: Zig Clean Color Real Brush Markers, Nuvo Embellishment Mousse, Ranger Texture Paste, and Strathmore Bristol Smooth Surface paper. What will I learn or complete: Two 8 x 9" mixed media art pieces. What do I need to bring to class: Baby wipes and a fine-tip watercolor brush filled with water. Optional: Gloves and an apron. What techniques will I learn or use: You will learn how to watercolor with markers, apply texture paste with stencils, add dimension with Color Choice and more. 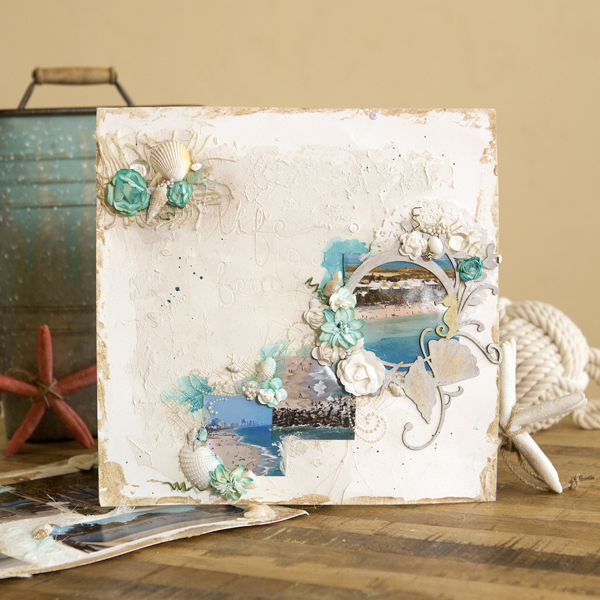 This class is loaded with our gorgeous new "Far and Away" paper line, chipboard, quotes and embellishments. You can showcase over 30 photos on these vibrant and fun travel-themed layouts. Learn to create extra photo space with a quick and easy interactive mini book. Add extra pop and color to the pages and chipboard with our newest Powder Puff Chalking Ink colors. Maximize space for displaying many sizes of photos throughout each page. This class is full of product and chances for door prizes! Coupons for booth specials given in class. What products will be highlighted: New paper lines "Far and Away" and "Navigator", Powder Puff Chalking Inks, Vellum, linen ribbon, and an interactive mini book to hold up to 15 photos. What will I learn or complete: You will make four pages in class and take home product to create two additional pages at home. What do I need to bring to class: 12" paper trimmer, scissors, 1/4" paper punch, and adhesive. Powder Puff Chalking Ink suggestions: Kokomo, Bermuda, Deep Sea, Tropical Punch, and Bora Bora. To purchase inks ahead of time, email your request to Steve at atozclassinks@gmail.com. What special supplies are needed to finish this project at home: 12" paper trimmer, scissors, 1/4" paper punch, and adhesive. Powder Puff Chalking Ink suggestions: Kokomo, Bermuda, Deep Sea, Tropical Punch, and Bora Bora. What techniques will I learn or use: You will learn how to make an interactive mini book to maximize photo space and chalk ink techniques for paper and chipboard. 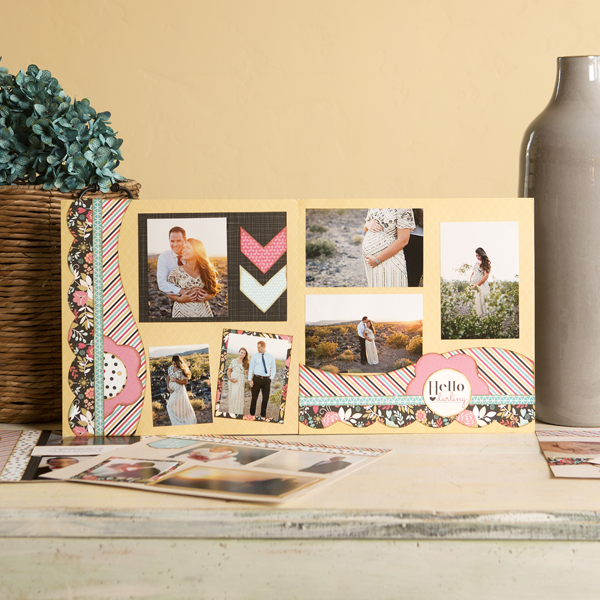 Display up to 40 photos from your vacation on these six elegant, product-packed layouts! Create beautiful pages to showcase your greatest adventures. 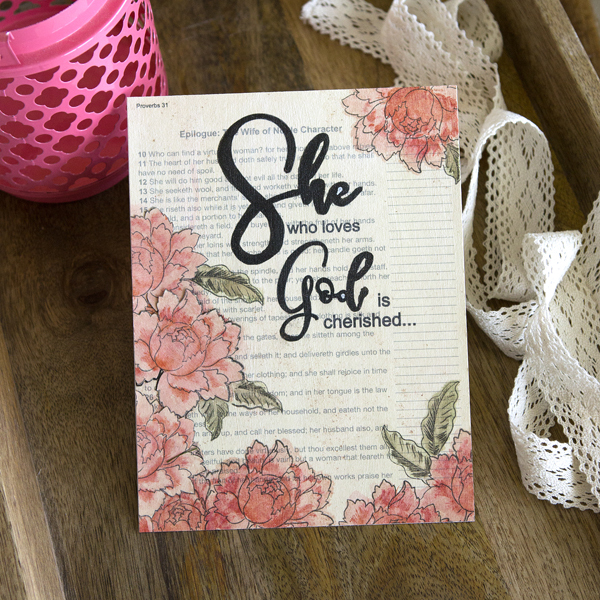 Learn to color chipboard with Powder Puff Chalk Inks, create hidden pages that flip up to hold multiple photos, and layer your pages with tags, quotes, frames and so much more. Whether you are taking the trip of a lifetime or planning a staycation, these pages will be perfect for any adventure. Join us for a fun class with door prizes! Booth coupon specials will be given in class. What products will be highlighted: Quick Quotes Powder Puff Chalking Inks and the new "Far and Away" and "Navigator" paper lines. What will I learn or complete: Two double-page layouts will be worked on in class. One double-page layout is a gift to take home. What do I need to bring to class: 12" paper trimmer, scissors, and adhesive. Powder Puff Chalking Ink suggestions: Navy, Barnboard, Key Largo, and Bora Bora. To purchase inks ahead of time, email your request to Steve at atozclassinks@gmail.com. What special supplies are needed to finish this project at home: 12" paper trimmer, scissors, and adhesive. Powder Puff Chalking Ink suggestions: Navy, Barnboard, Key Largo, and Bora Bora. What techniques will I learn or use: You will be playing with our newest paper lines, making more space for photos, and chalking with Powder Puff Chalk Inks. Vinyl is the New Craft! Come and let us show you how vinyl can change everything. 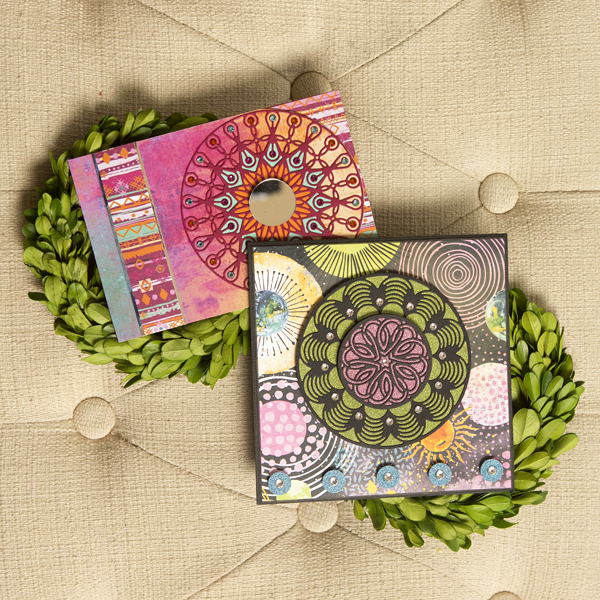 From scrapbook pages to card making, tile coasters to wall art – vinyl is the new craft! Faith will share her favorite tips on how to cut, weed, and apply adhesive vinyl from start to finish. The class will begin with a quick demo on how to cut vinyl using a Silhouette Cameo 3. (Please note: Class kit items will be pre-cut and the products used in class may differ slightly from the project shown.) This class is perfect for those "vinylly" ready for vinyl. You will receive an exclusive coupon to be used in the Crafter Depot booth. What products will be highlighted: Silhouette Cameo 3, Oracal 651 Permanent Vinyl, Crafter Depot vinyl and accessories. What techniques will I learn or use: You will learn how to cut, weed, and apply adhesive vinyl. No supplies are needed in this beginning watercolor class! We bring it all for you so you can paint and play as you discover how fun watercoloring can be. Karen will show you several easy and unique ways to create lovely watercolor backgrounds. You will also try out a variety of watercolor-related products – paint, markers, pencils, and more – to decide which water-based option is the one you love best. You will receive plenty of product education, plus great tips and tricks will be shared and prizes will be given at the end of class. You'll take home a set of three Spectrum Sparkle Markers (a $17 value! ), an info sheet, your painted worksheet, and a valuable coupon with two offers to use in the BEE Creative booth. What products will be highlighted: Watercolor paints, markers, pencils, and other watercolor-related items. What will I learn or complete: This is a paint-and-play class. You will work on a pre-stamped worksheet during class. What techniques will I learn or use: You will learn how to create several watercolor backgrounds using a variety of techniques, plus basic blending and painting. Oh, Toodles! It's all about what a girl wants, and this girl wants it all! Come make a layout for Mickey's better half. Cute, polka-dotty, fun & flirty, this double-page layout will make you smile. If you're a Minnie fan, you gotta take this class! What products will be highlighted: Paper Wizard titles. What will I learn or complete: One 12 x 12" double-page layout. What do I need to bring to class: 12" paper trimmer, scissors, removable dot runner adhesive such as Scrapbook Adhesives by 3L, and fine-tip glue pen. Optional: Pop-dots. What techniques will I learn or use: You will learn how to properly trim paper, use different adhesives, assemble a Paper Wizard title, mix and match different papers, and arrange a page. You Can Be a "Big Shot" Too! Come join ItsCheaperThanTherapy.com and learn how to get the most out of your Sizzix Big Shot Machine! In this lecture-style class, we'll share tips and techniques for properly sandwiching your dies, the different dies and cutting mediums you can use, accessories for your machine, and more that will truly make you a "Big Shot" too! ItsCheaperThanTherapy.com has been selling Sizzix products since 2001 (the very first retailer in the world to carry the brand!) and is a name you can trust. And just for taking the class, you will receive a product-filled Swag Bag, an amazing coupon to be used exclusively in the ItsCheaperThanTherapy.com booth, and a chance to win a $25 gift certificate (also to be used in our booth). Space for this class is limited, so reserve your seat today! What products will be highlighted: Sizzix Big Shot Machine, accessories, dies, embossing, and tips and techniques to get the most out of your Big Shot so you can be a "Big Shot" too! What will I learn or complete: In this lecture-style class, you will leave with knowledge about the Big Shot die cutting machine, a "Swag Bag" filled with products from ItsCheaperThanTherapy.com, and an amazing coupon to be used in the ItsCheaperThanTherapy.com booth. What techniques will I learn or use: You will learn techniques to be successful with and get the most out of your Sizzix Big Shot Machine. Magic! Easy, simple magic! Come play along with Nicole Petersen in this fast-paced class featuring the extremely addictive world of treeless paper. All levels of crafters will fall in love with this simple, yet complex-looking mixture. You will discover how to drop, swirl, drip, mist, spin, and smush alcohol ink onto YUPO paper with the help of a Gelli Plate. The results are stunning, vibrant and one-of-a-kind pieces of art to use for cards, mixed media projects, or even hang on the wall! Your kit will include ten 3 x 5" pieces of YUPO paper, a 3 x 5" Gelli Plate, and two bottles of Ranger Alcohol Inks. 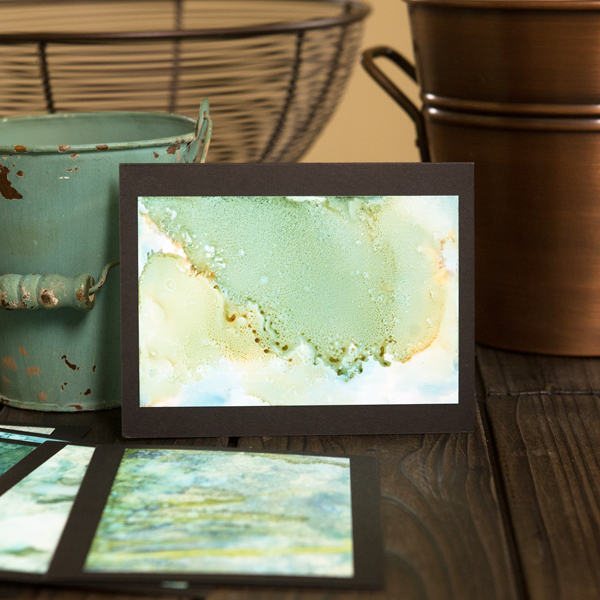 What products will be highlighted: YUPO paper, Gelli Plate, and Ranger Alcohol Inks. What will I learn or complete: 5-7 YUPO paper cards. What do I need to bring to class: Baby wipes. Optional: Gloves and an apron. What techniques will I learn or use: You will learn how to drop, swirl, drip, mist, spin, and smush alcohol ink onto YUPO paper with the help of a Gelli Plate.